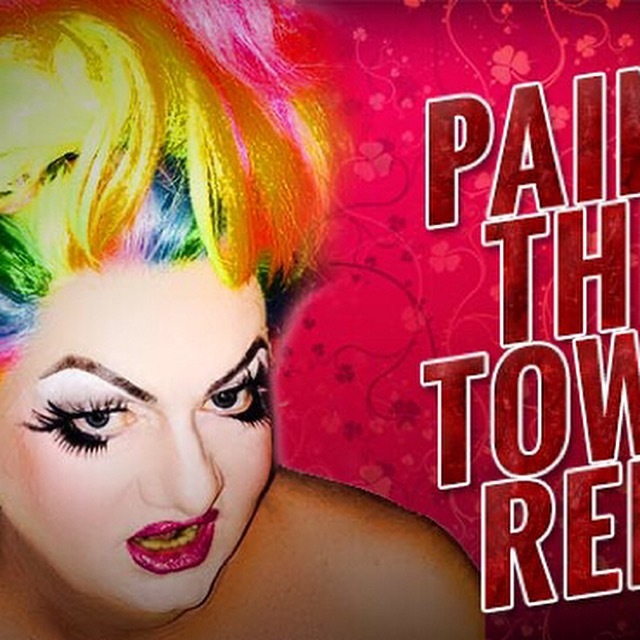 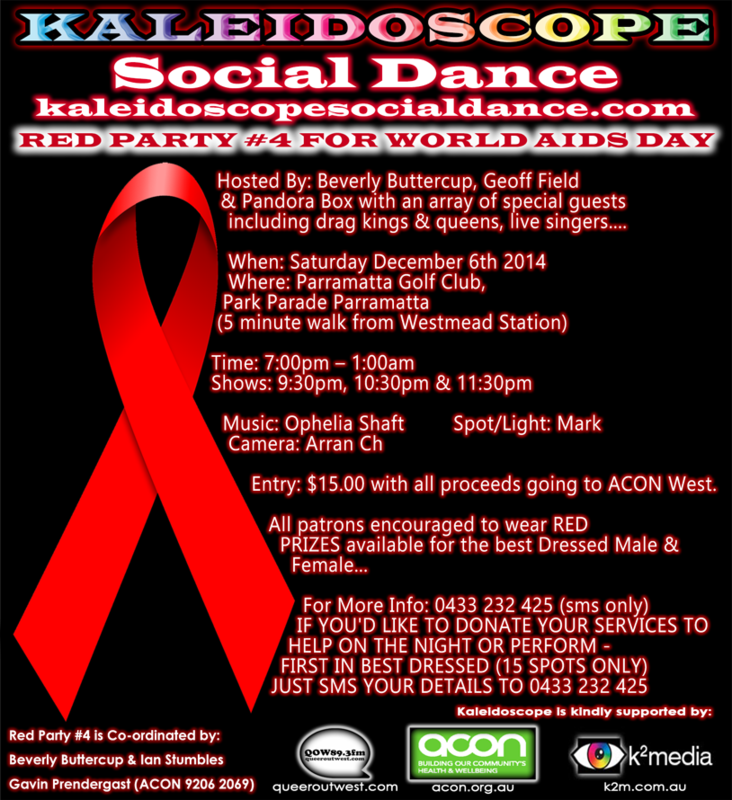 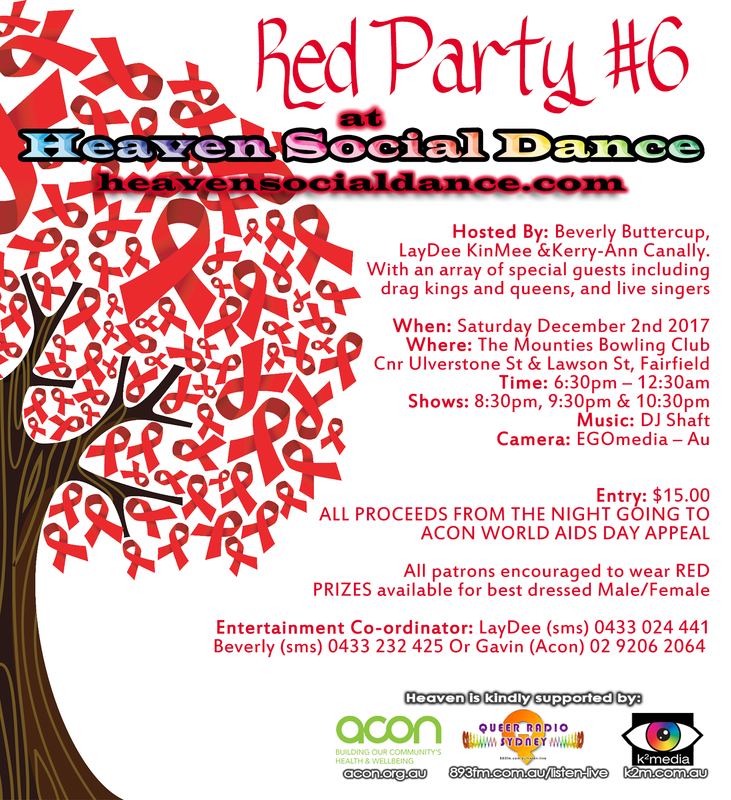 RED PARTY #4 For World Aids Day - 06.12.14. 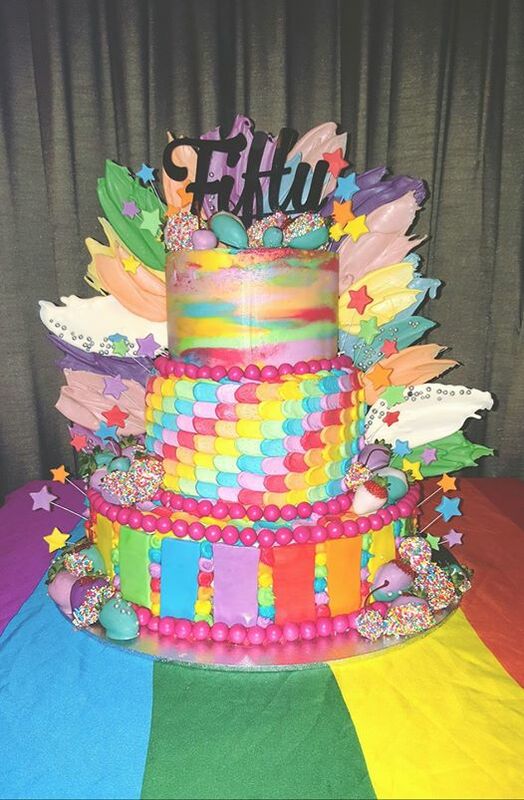 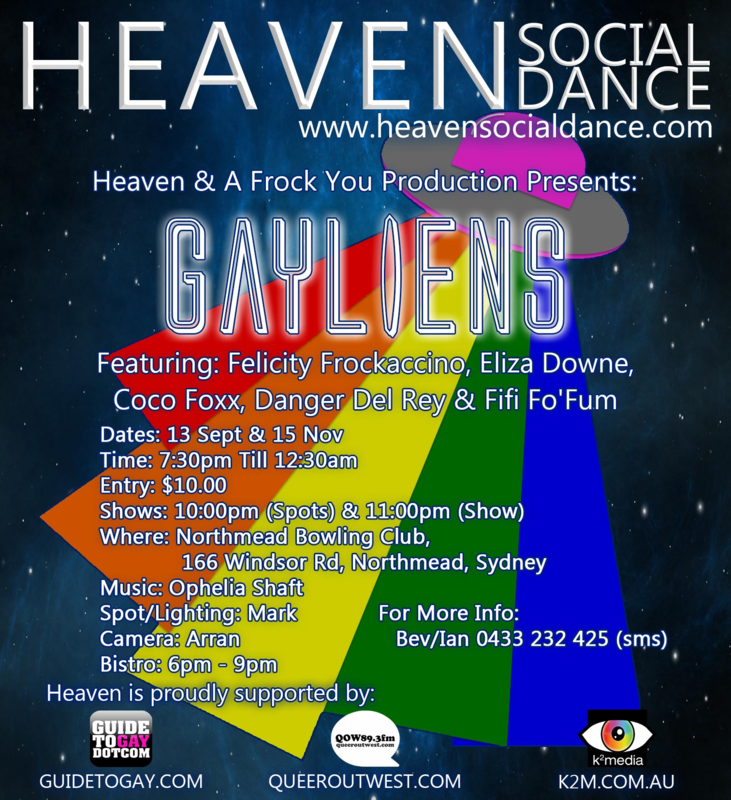 GAYLIENS . 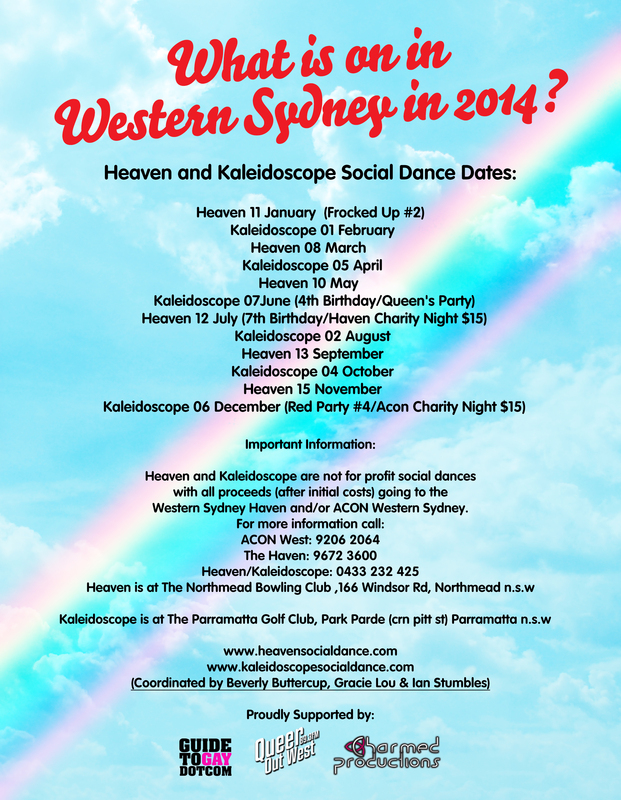 13SEP & 15NOV 2014. 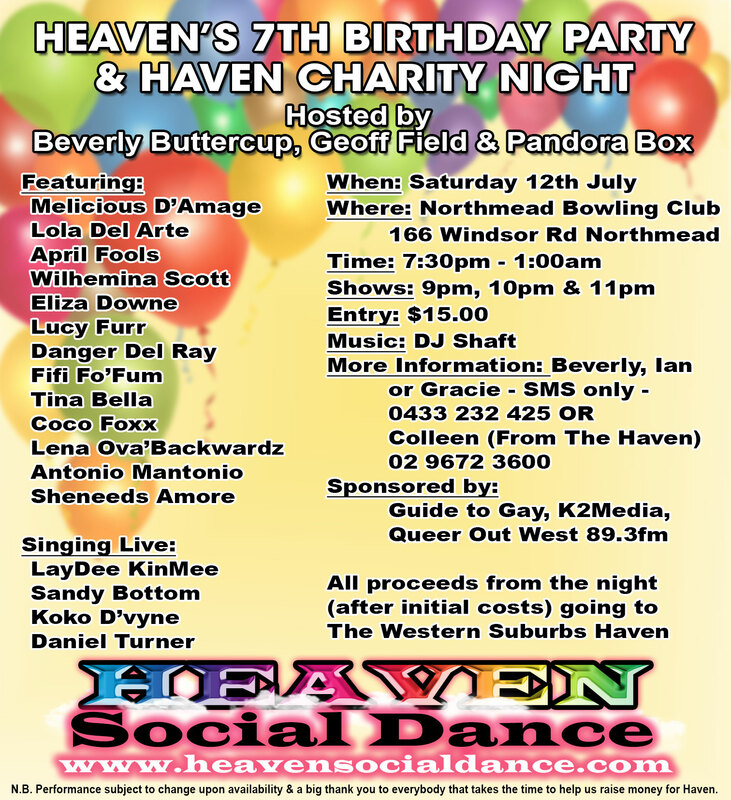 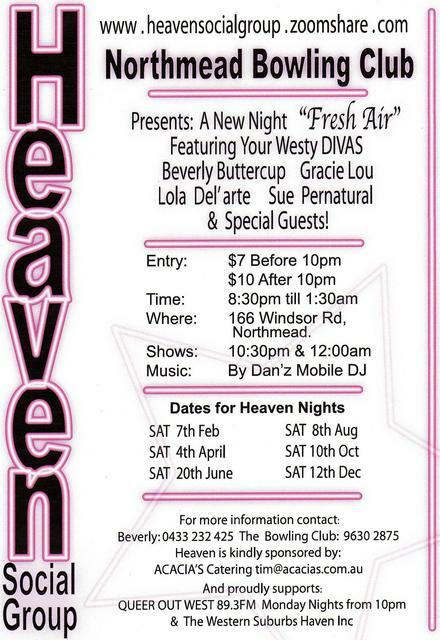 Heaven 7th Birthday Poster 12.07.14. 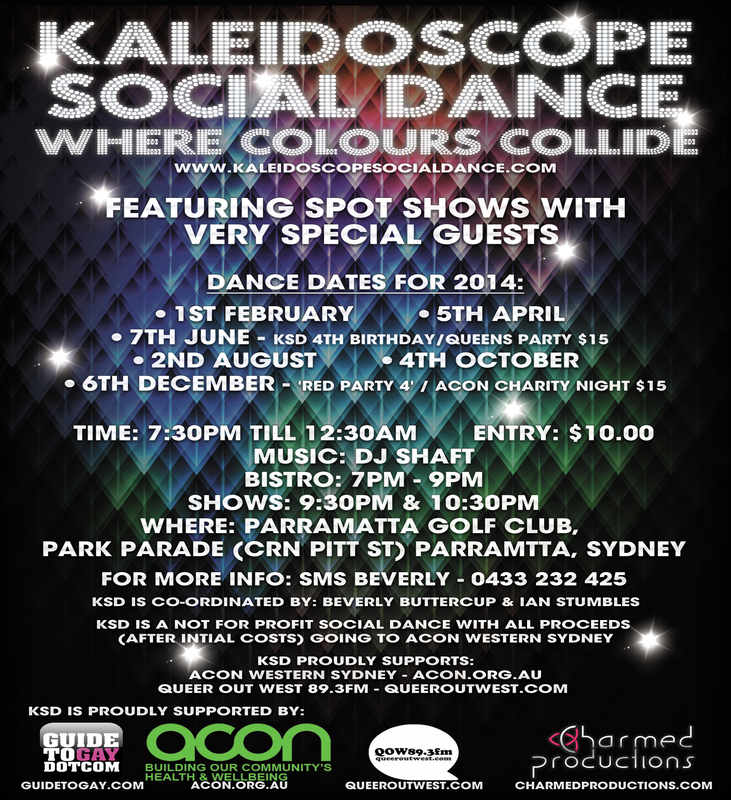 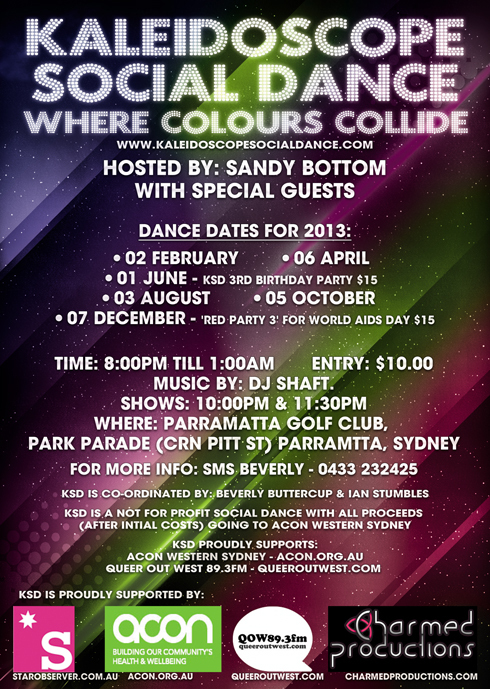 Kaleidoscope Social Dance 4th Birthday Poster 07.06.14. 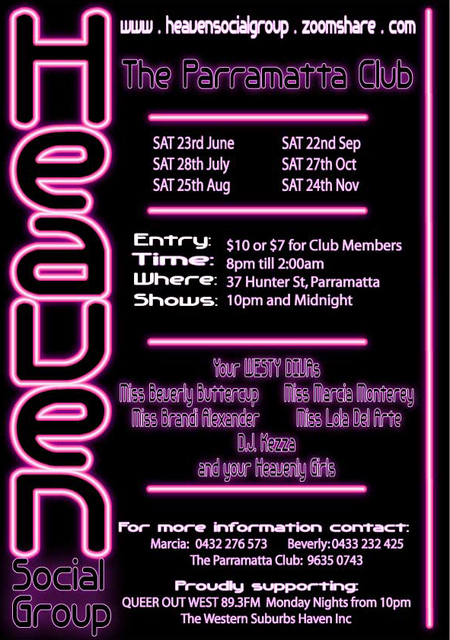 Heaven - Frocked Up #2 - 11JAN14. 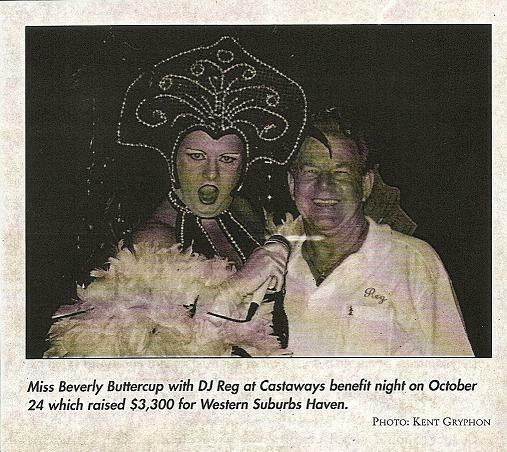 Beverly Buttercup . 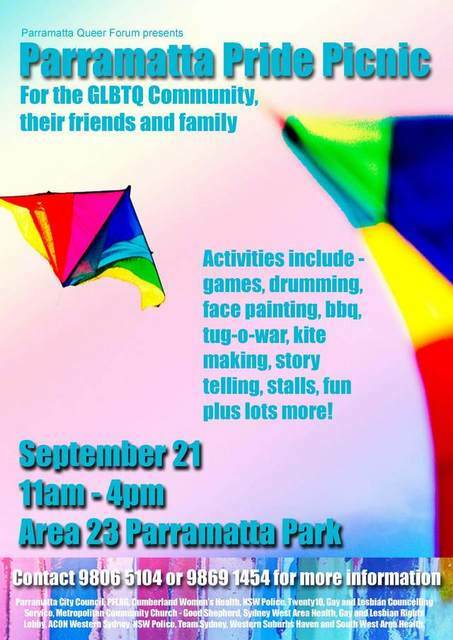 Banner .GTG 2014. 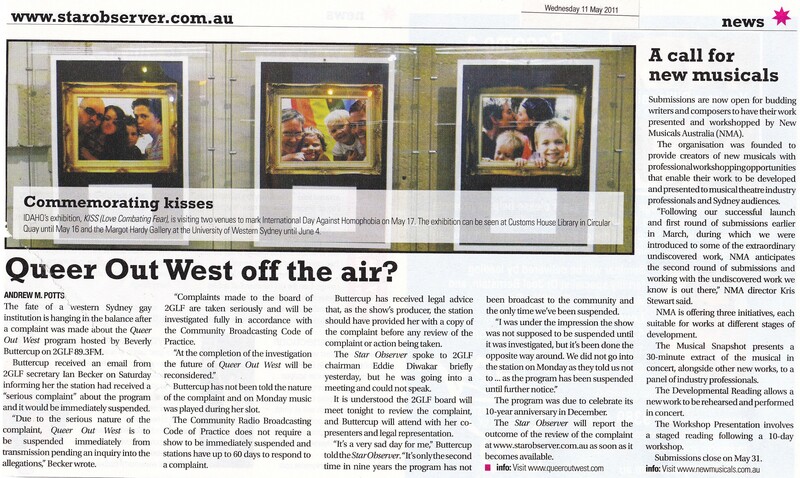 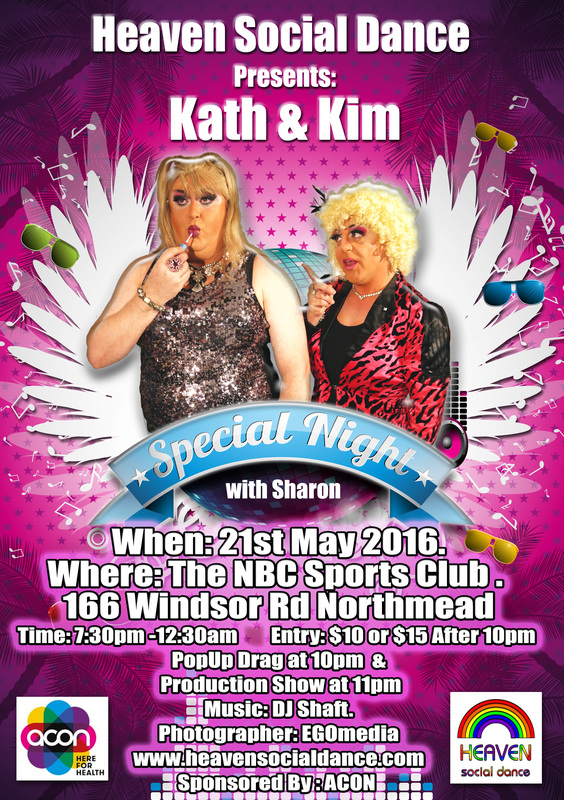 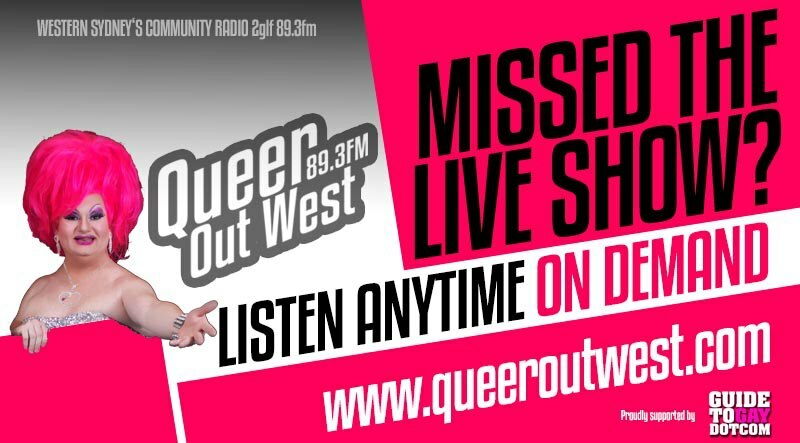 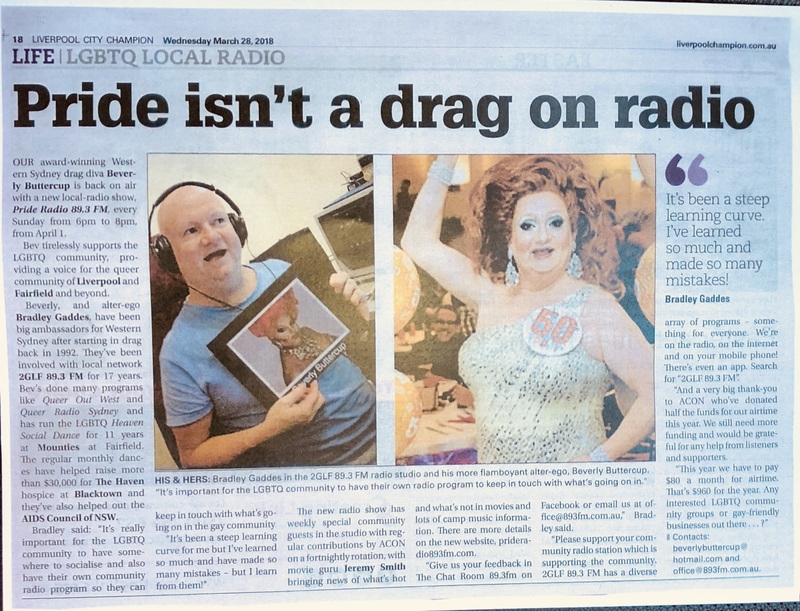 Queen Out West 89.3fm - Banner - May2014. 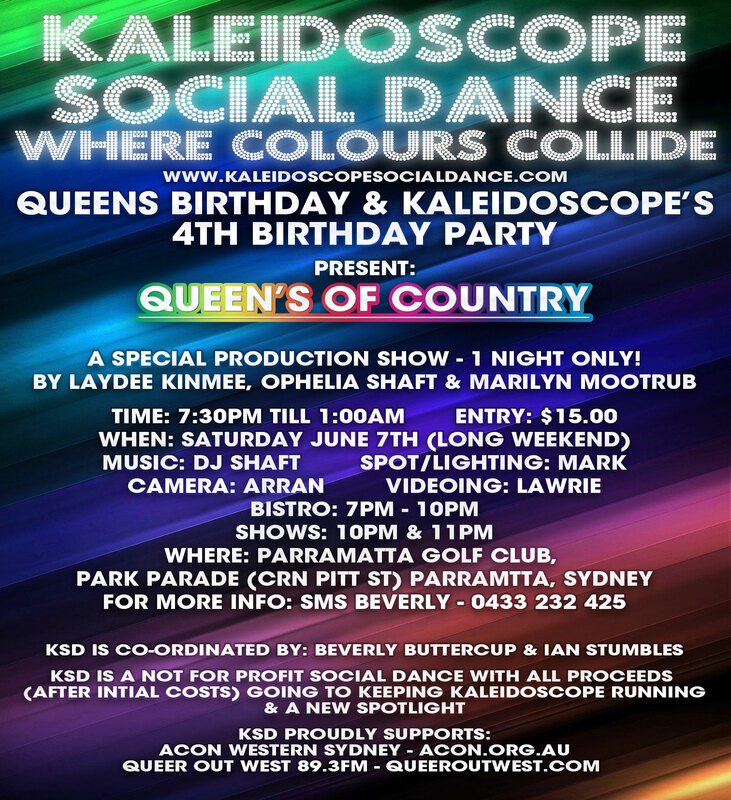 The Imperial Hotel Sat 31.08.13 ... 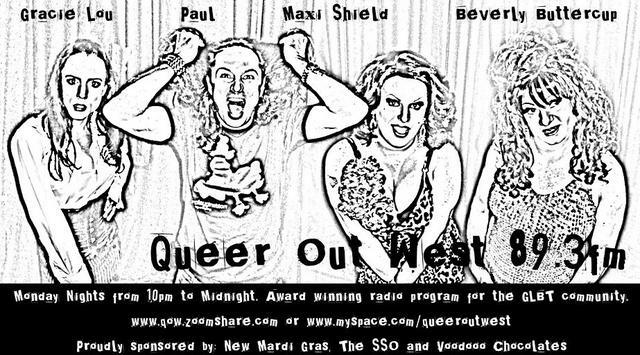 Your Hostess Ms Summer salt with her late show guests Ms Beverly Buttercup and Menage A'Trois. 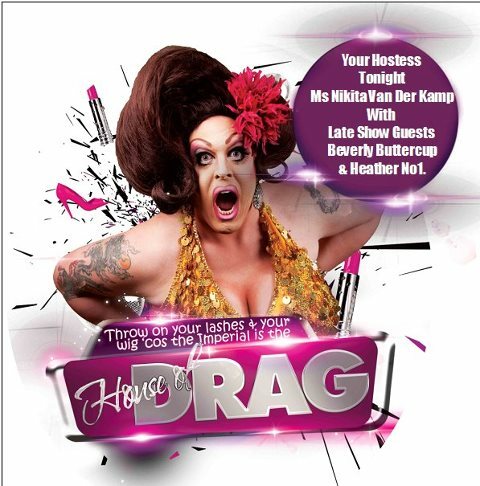 With DJ Shanie D , 10pm till late. 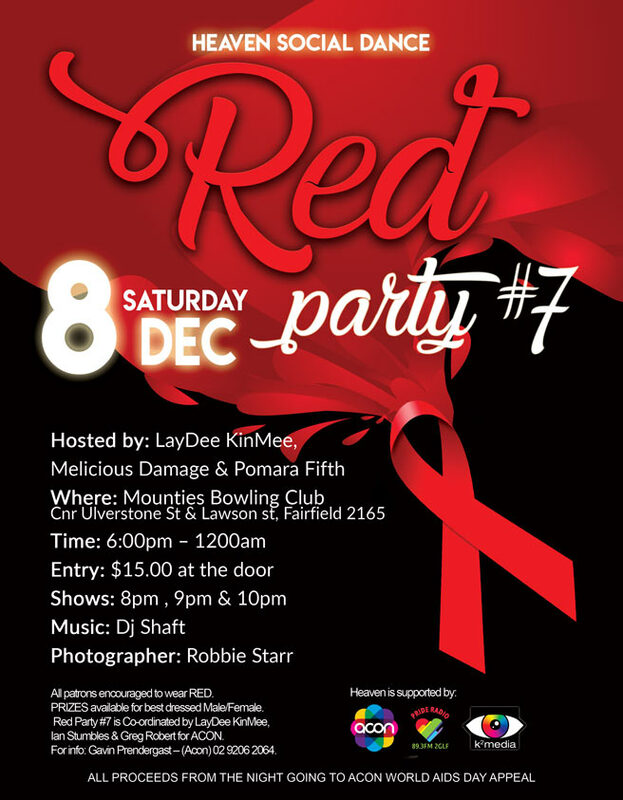 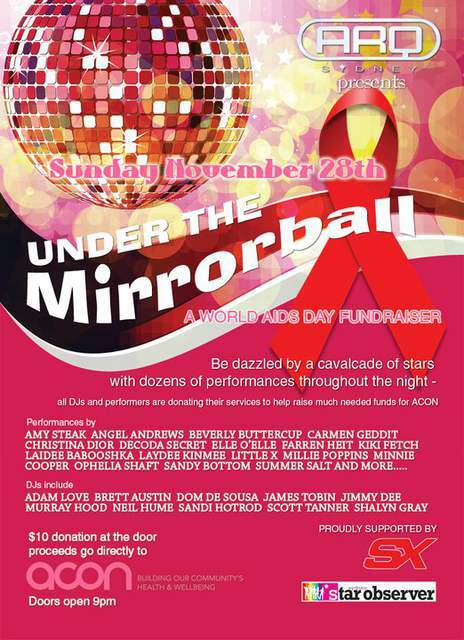 Red Party #3 For Wold Aids Day 07.12.13. 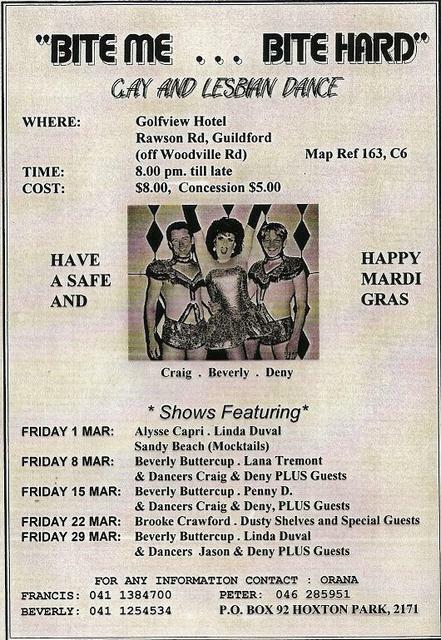 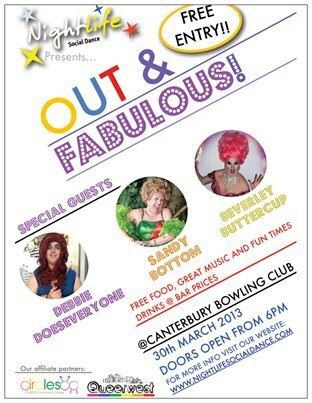 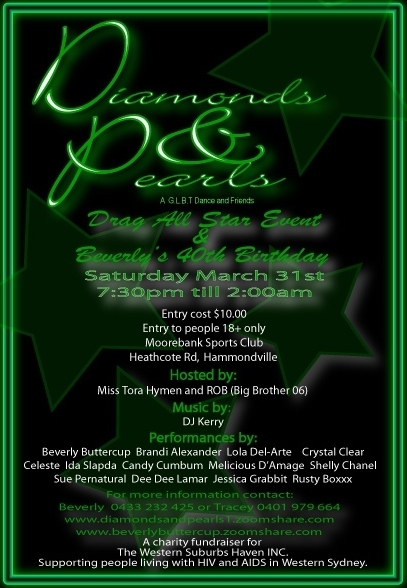 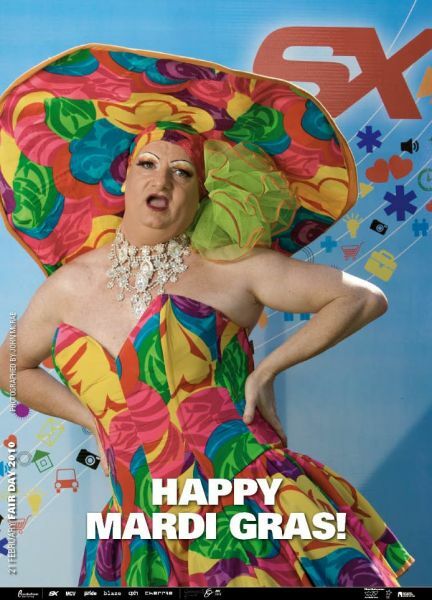 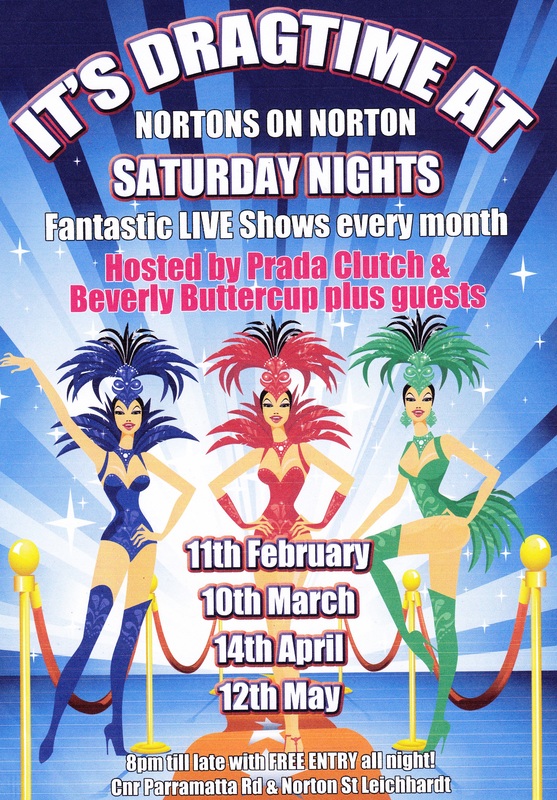 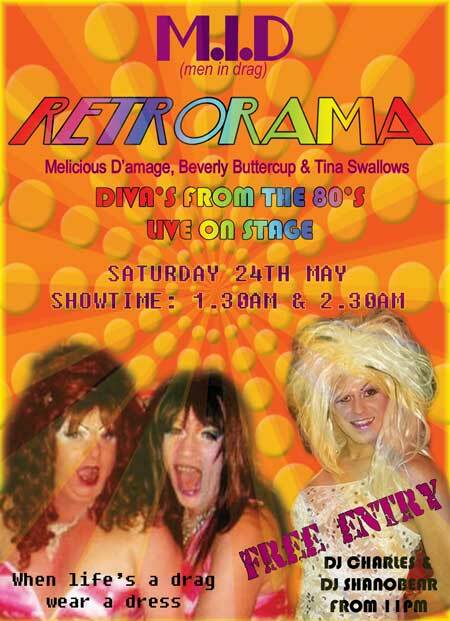 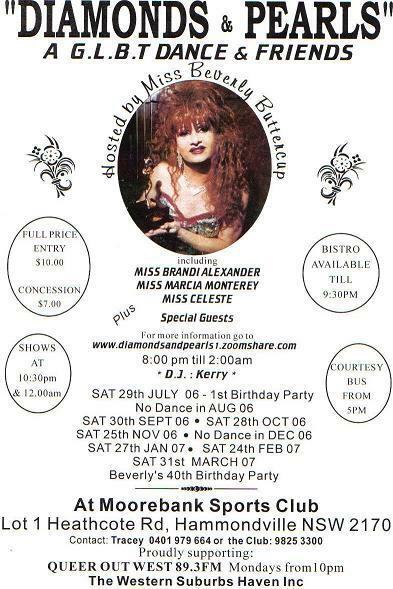 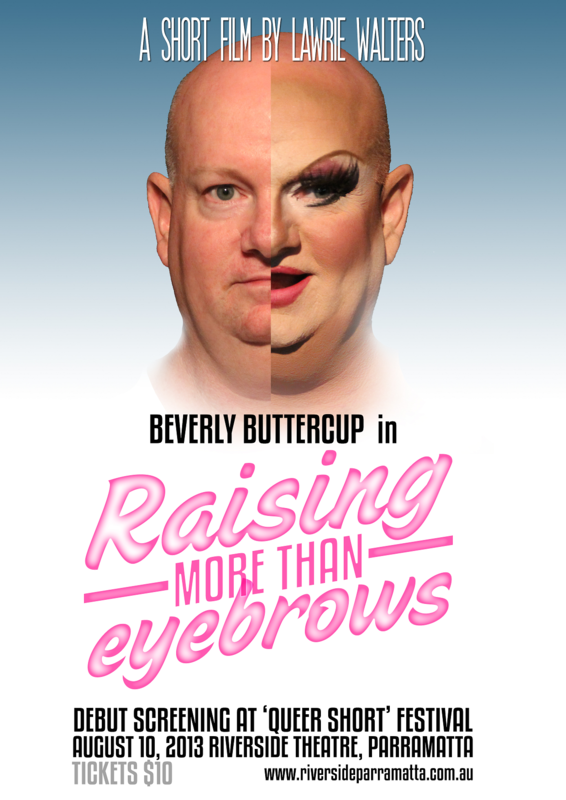 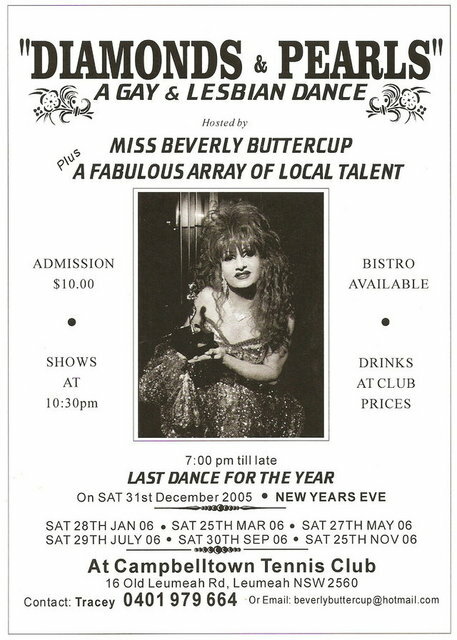 Beverly Buttercup S/G At House Of Drag Poster – 27Apr 2013. 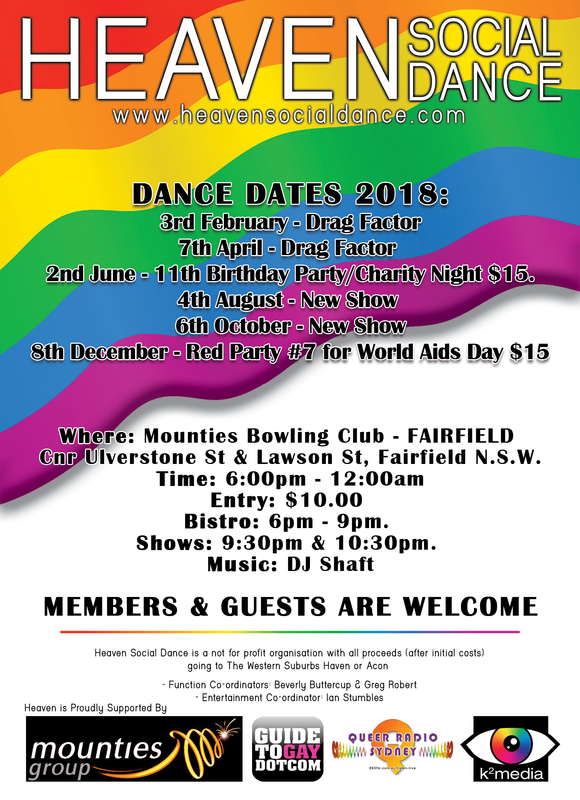 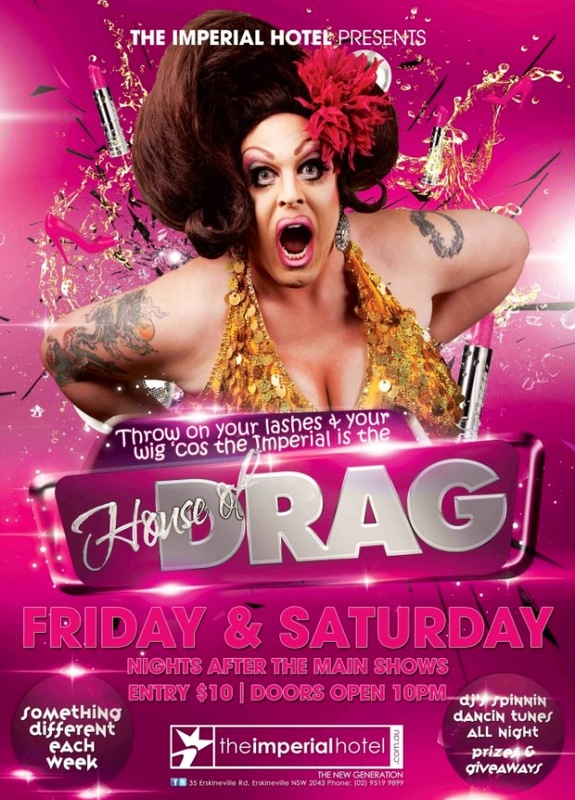 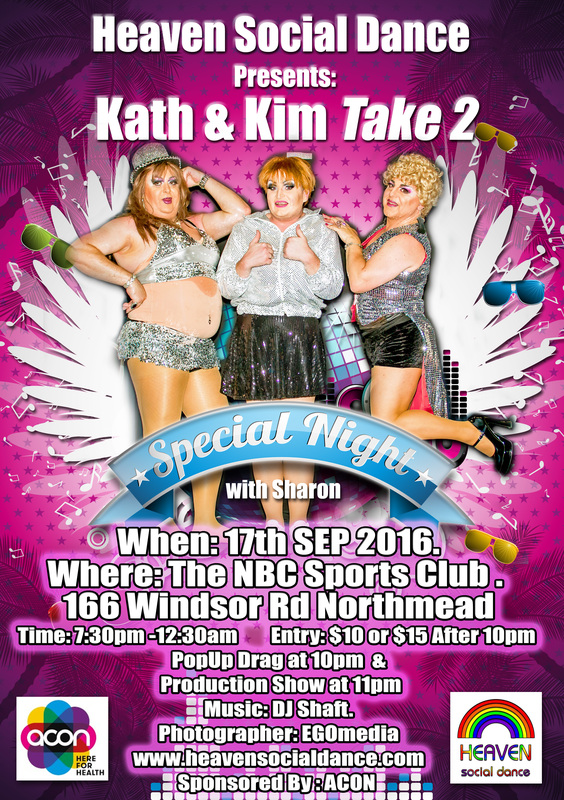 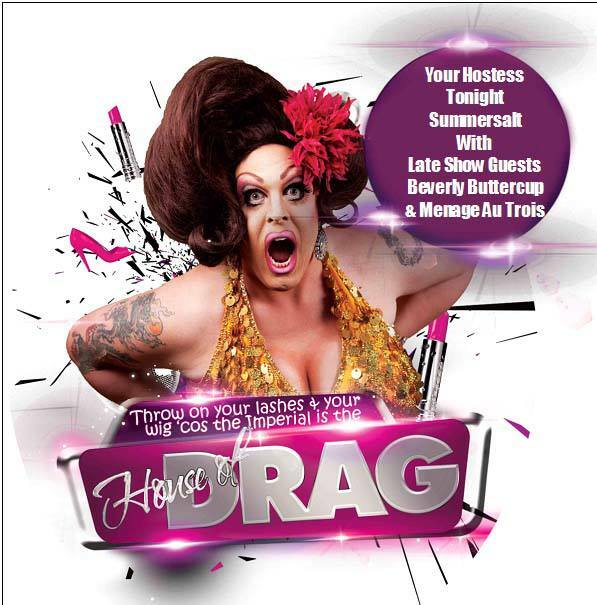 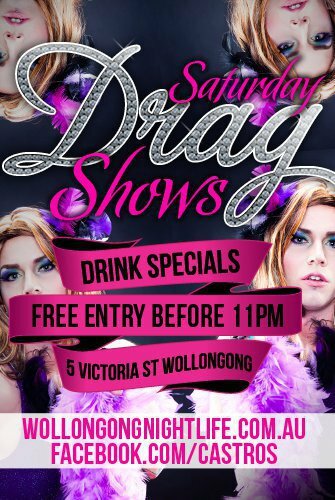 House Of Drag At The Imperial Hotel - Poster - 2013. 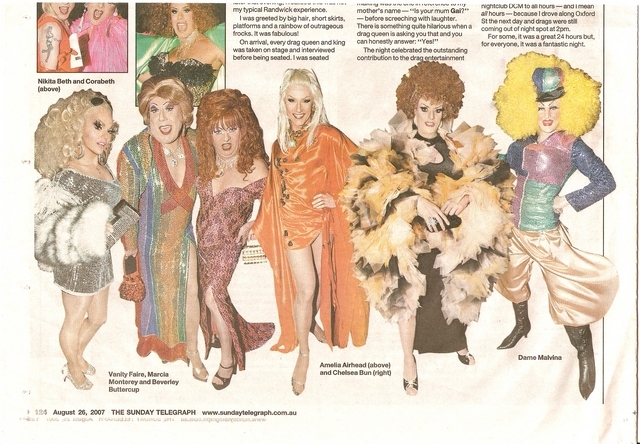 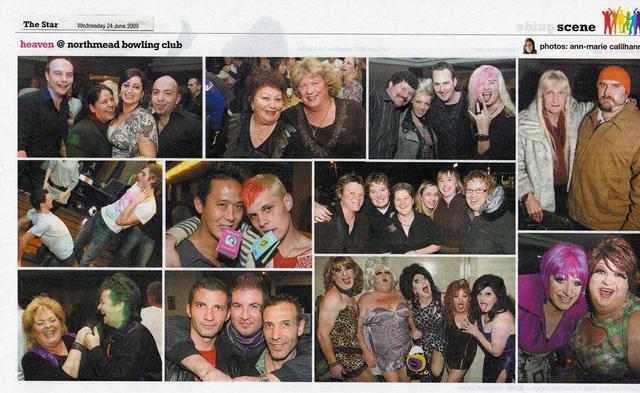 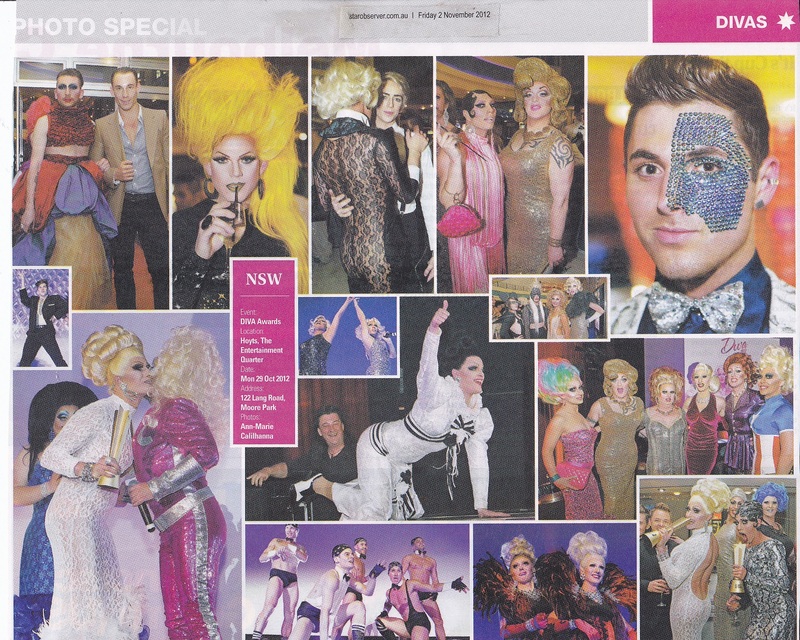 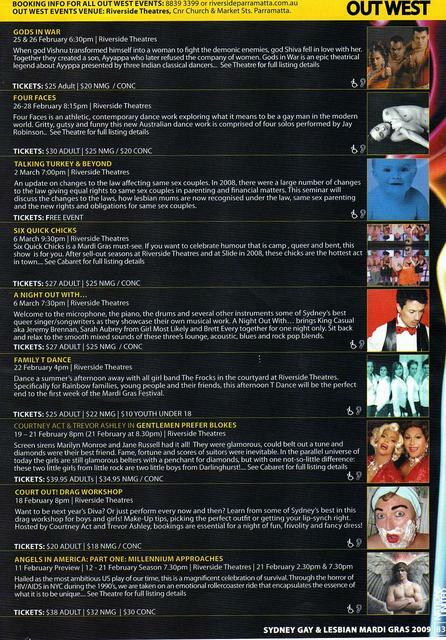 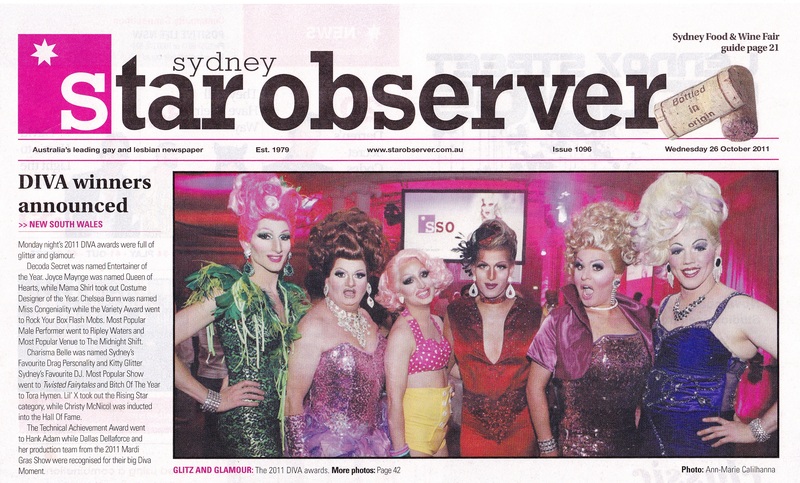 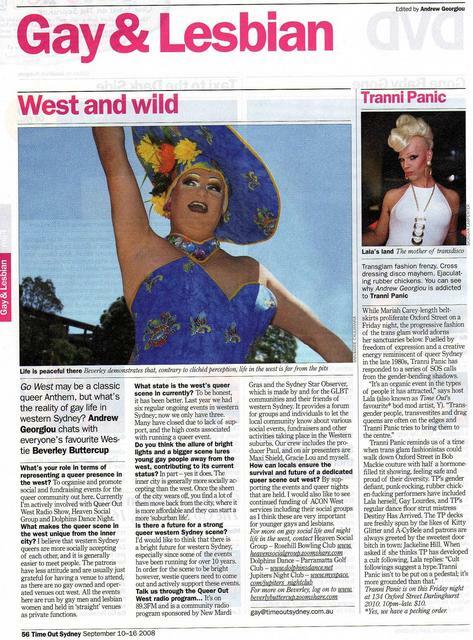 Red Party #2 - Star Observer - Paper 07.12.12. 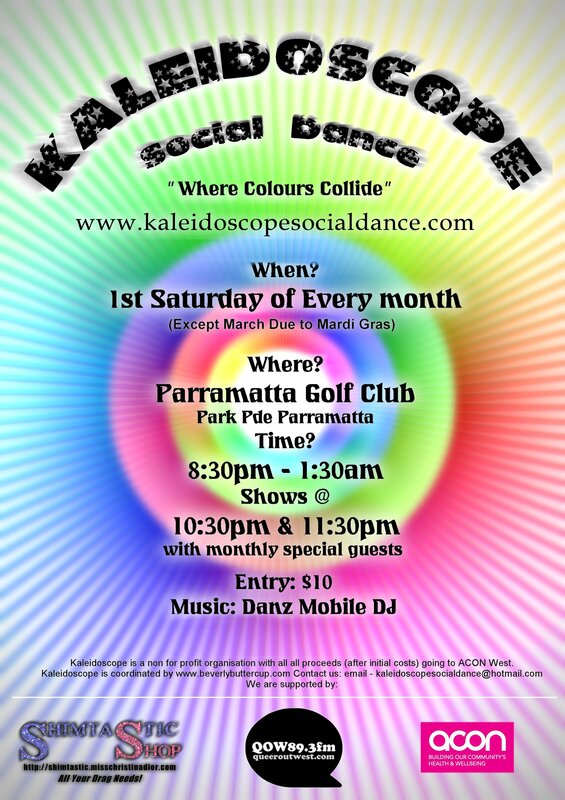 SS0 PAPER - Disco On The Green 25.11.12. 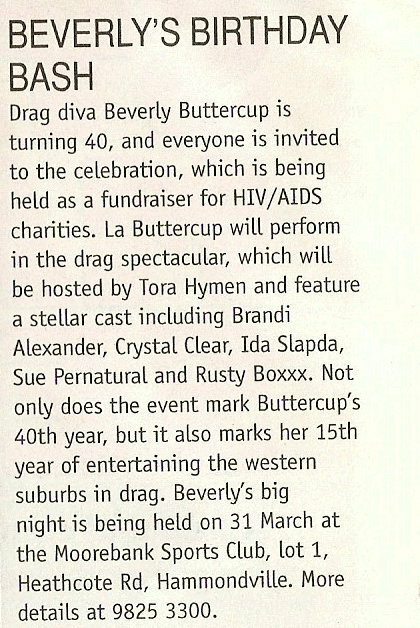 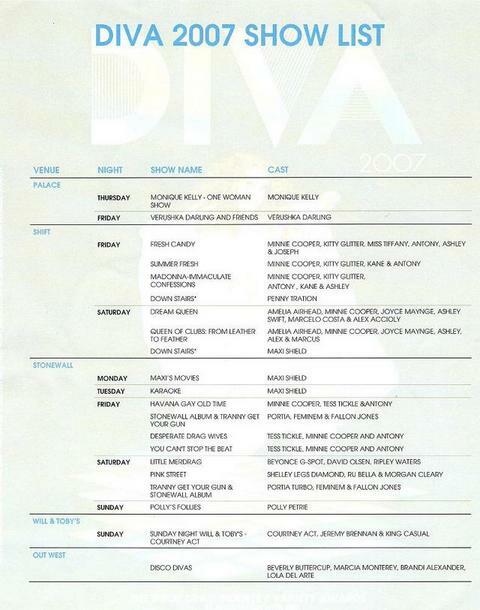 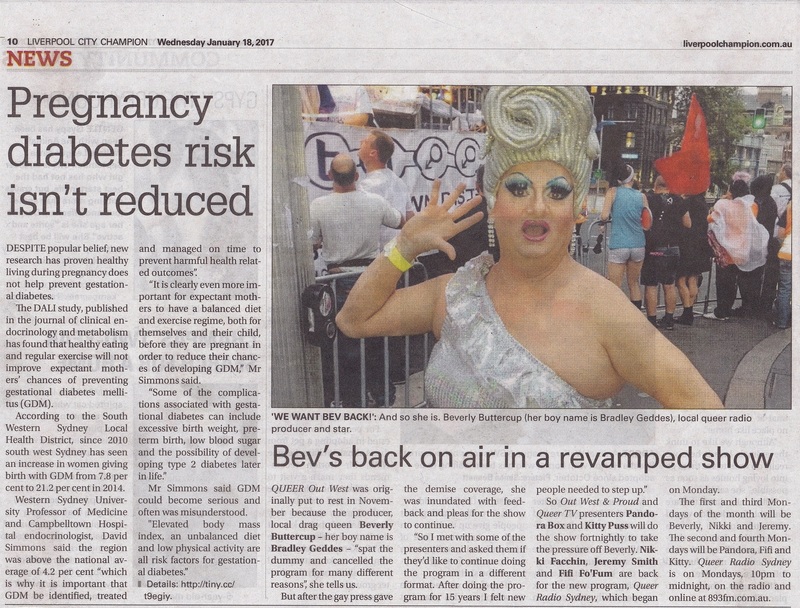 SS0 PAPER - BEVERLY BUTTERCUP AT DIVA 2012. 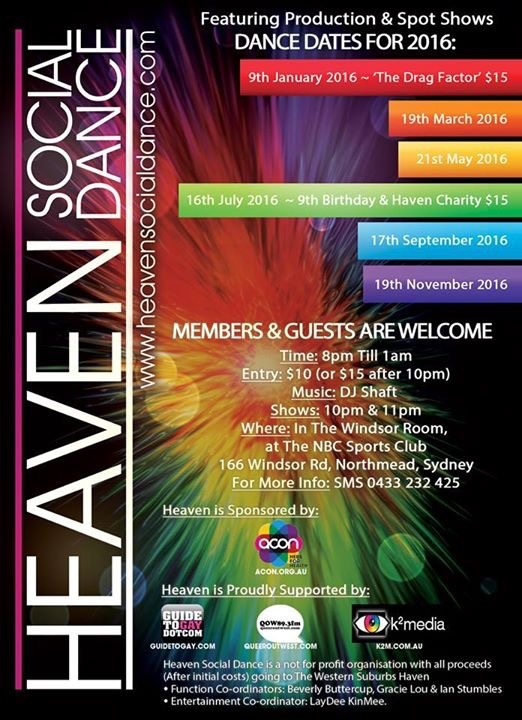 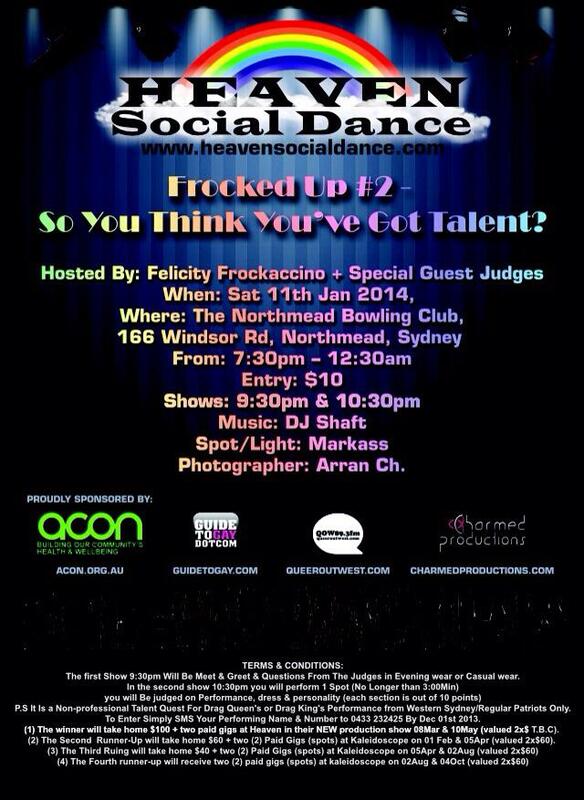 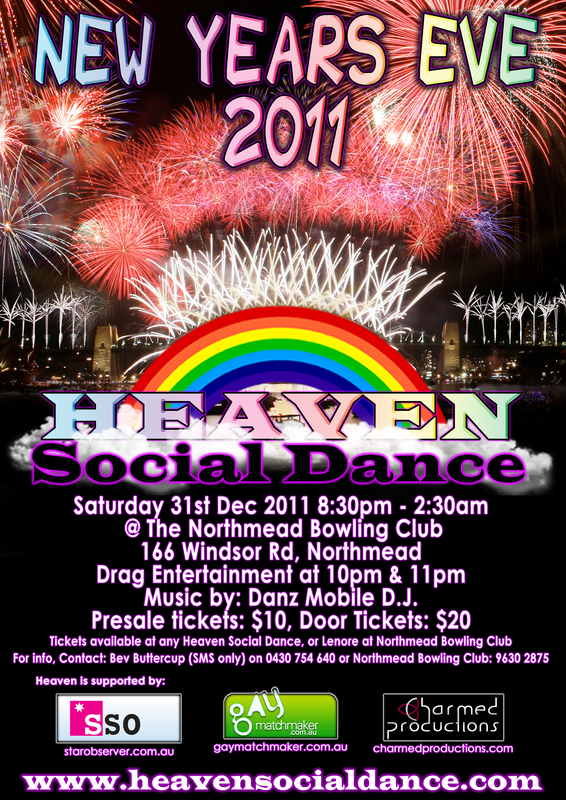 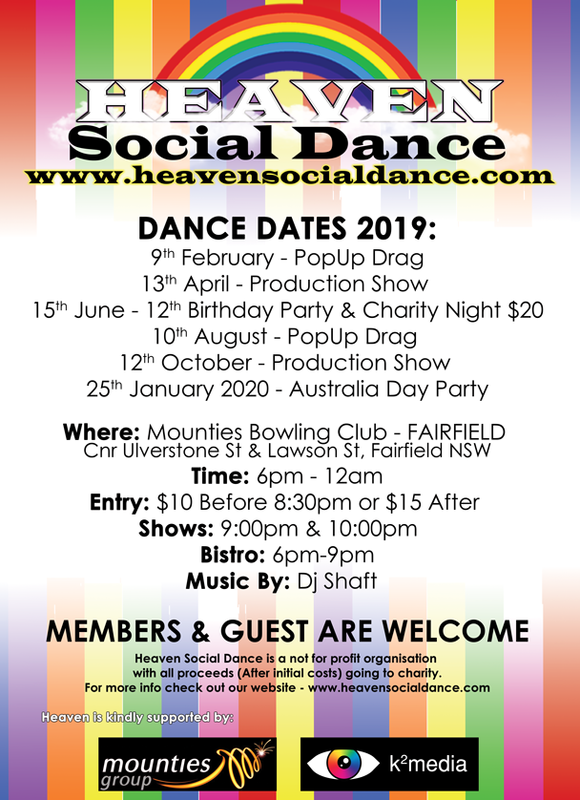 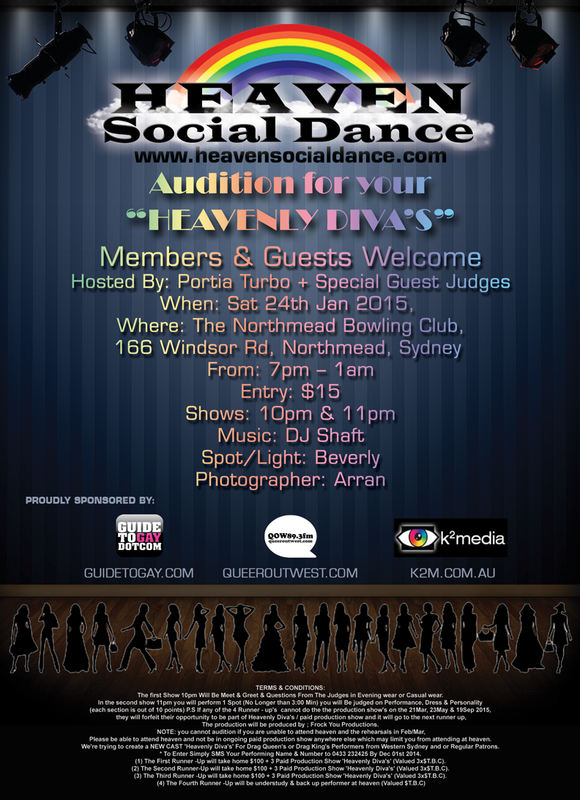 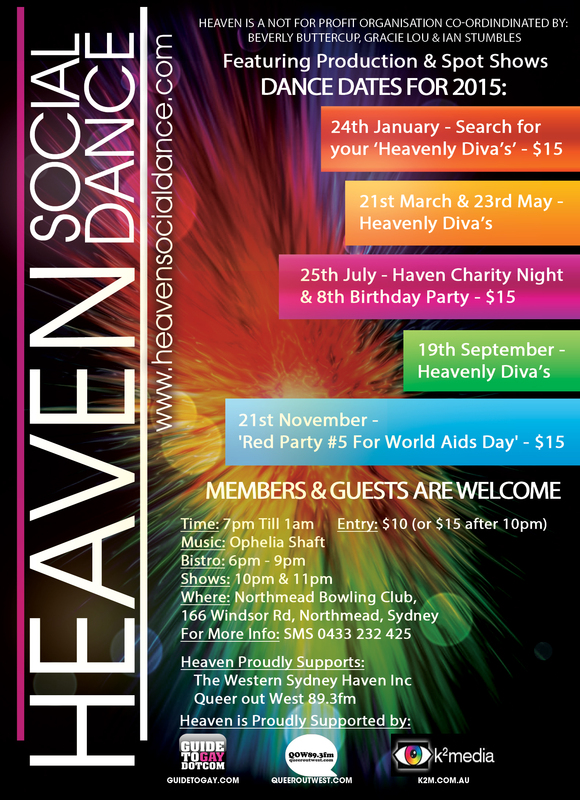 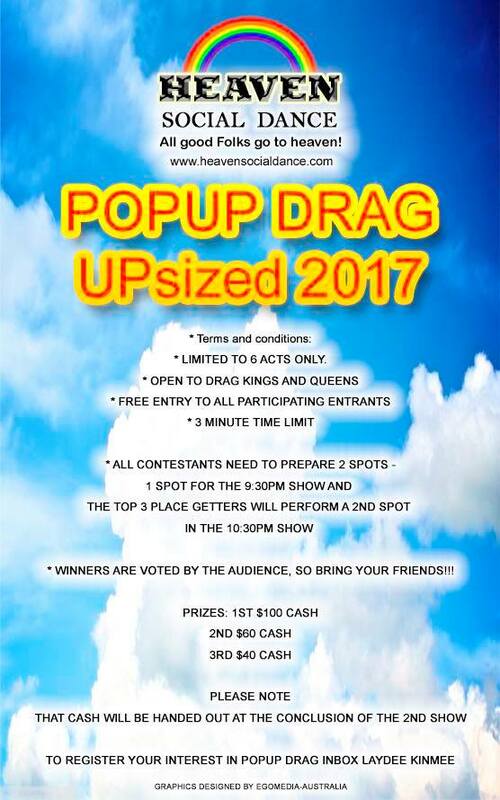 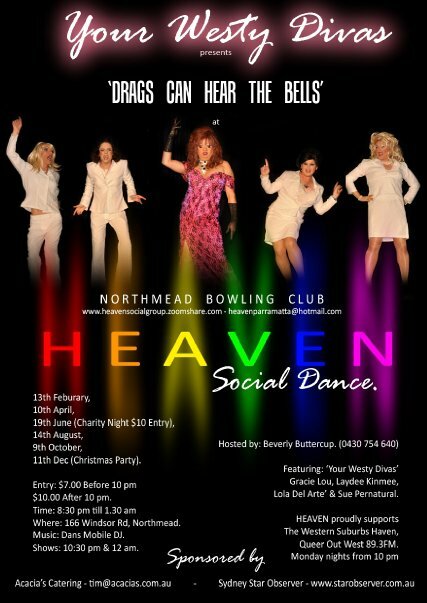 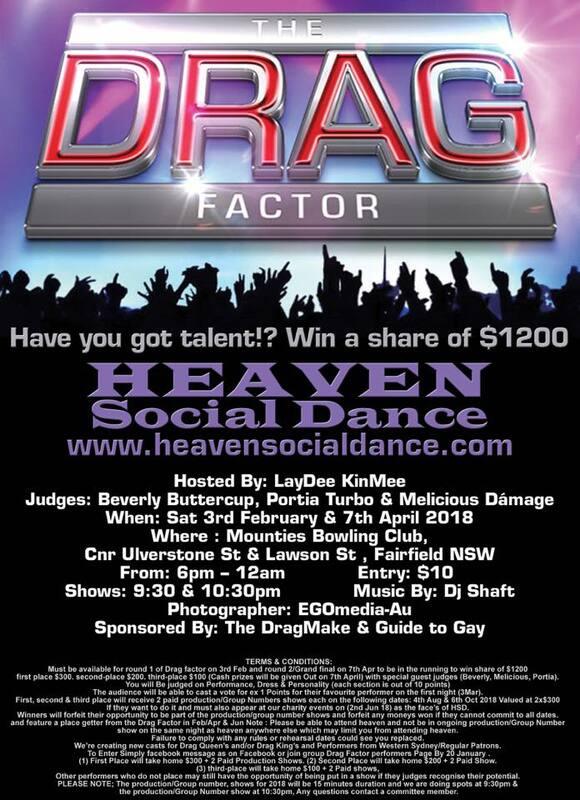 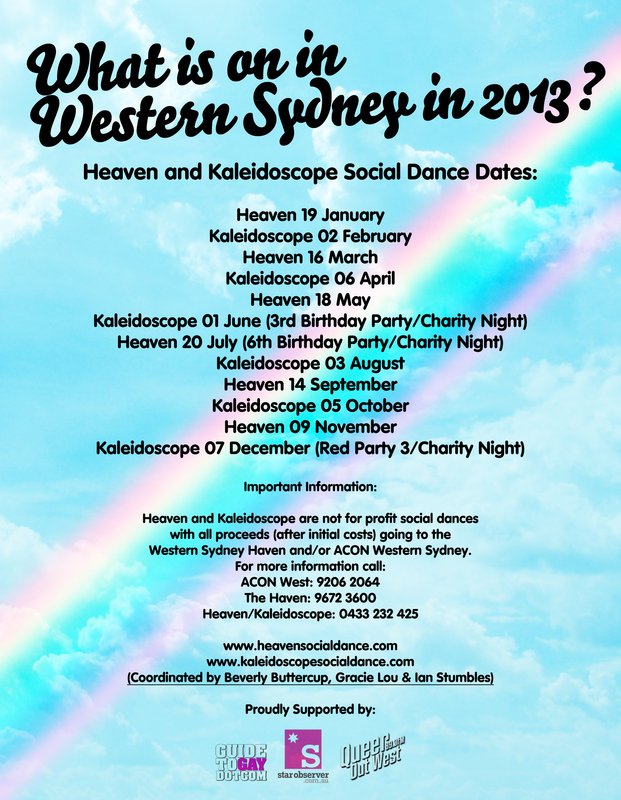 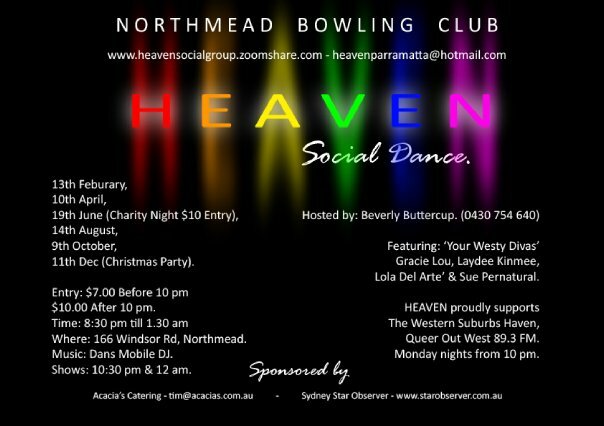 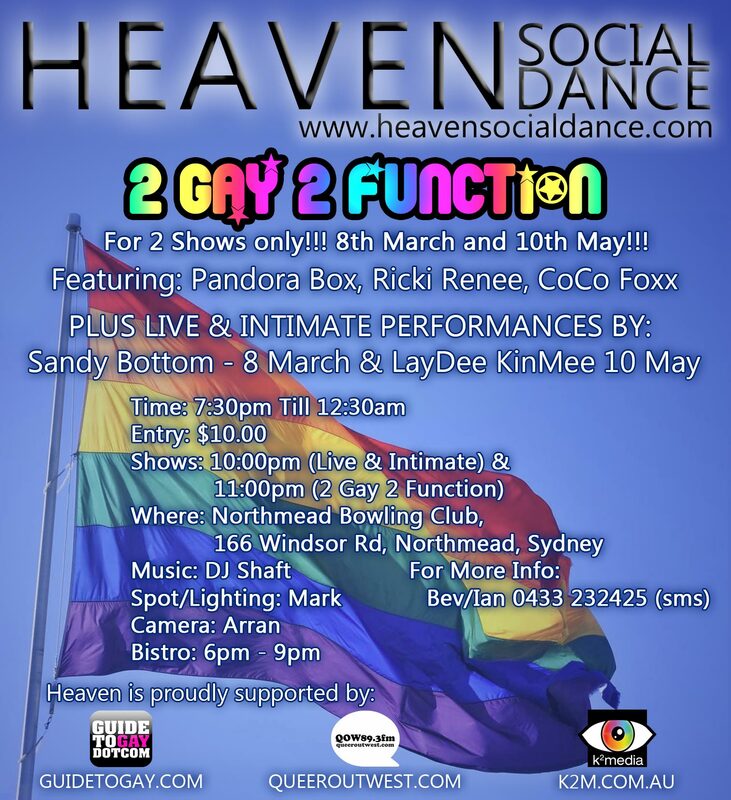 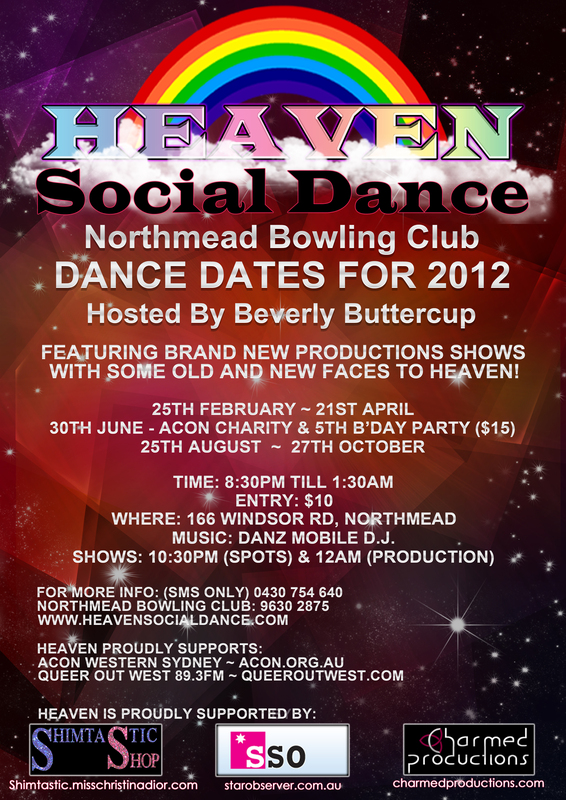 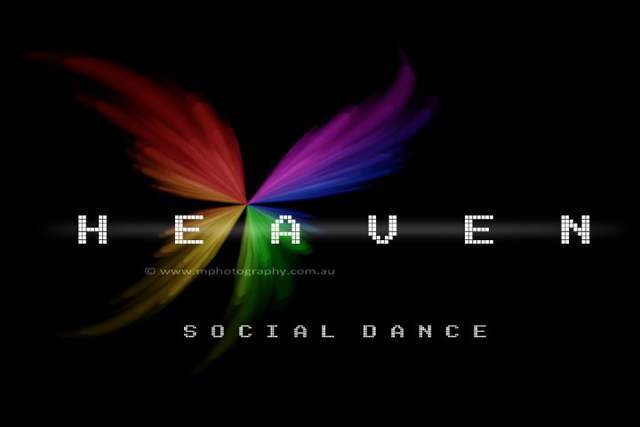 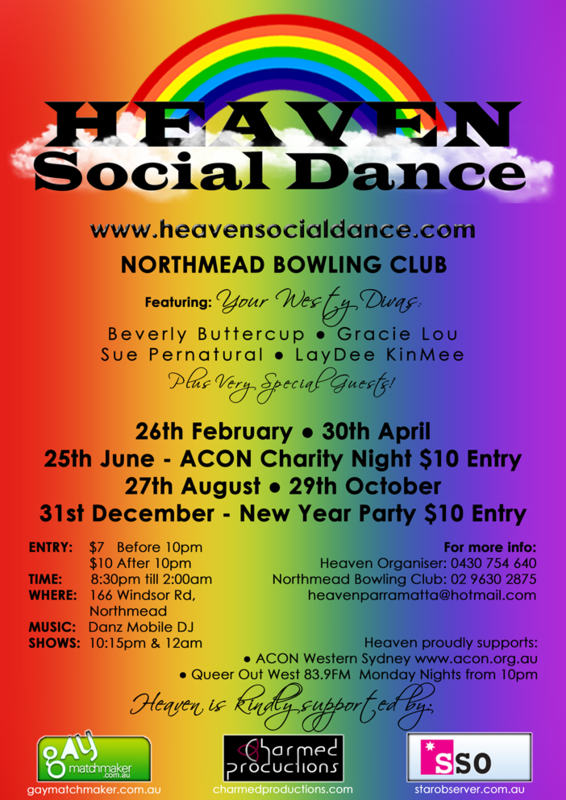 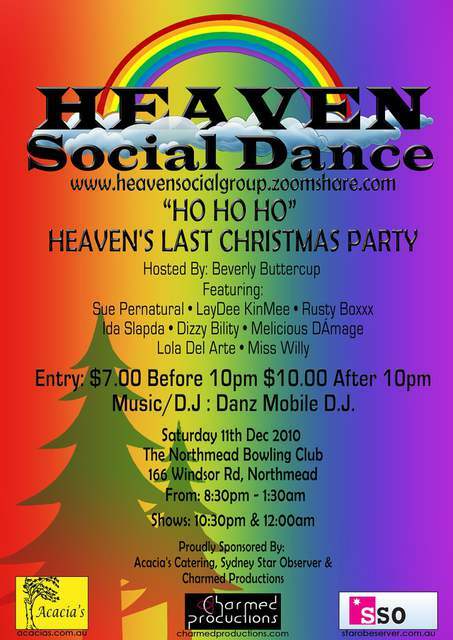 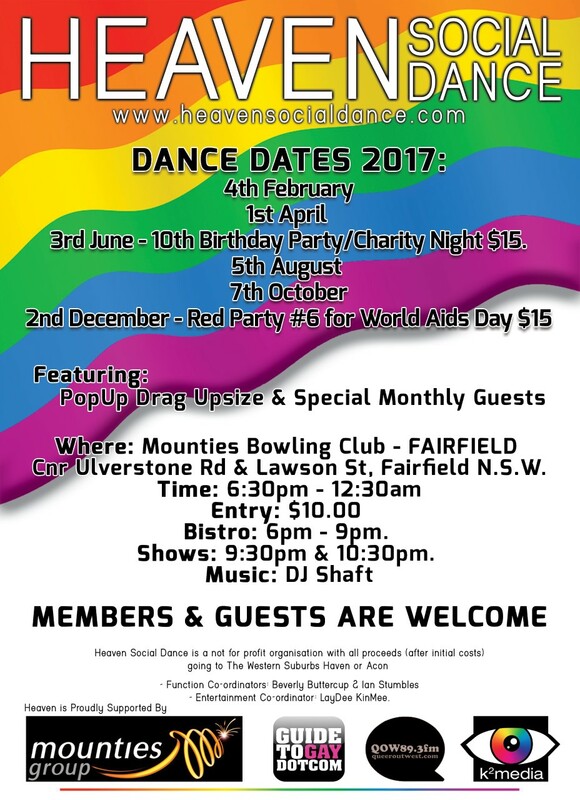 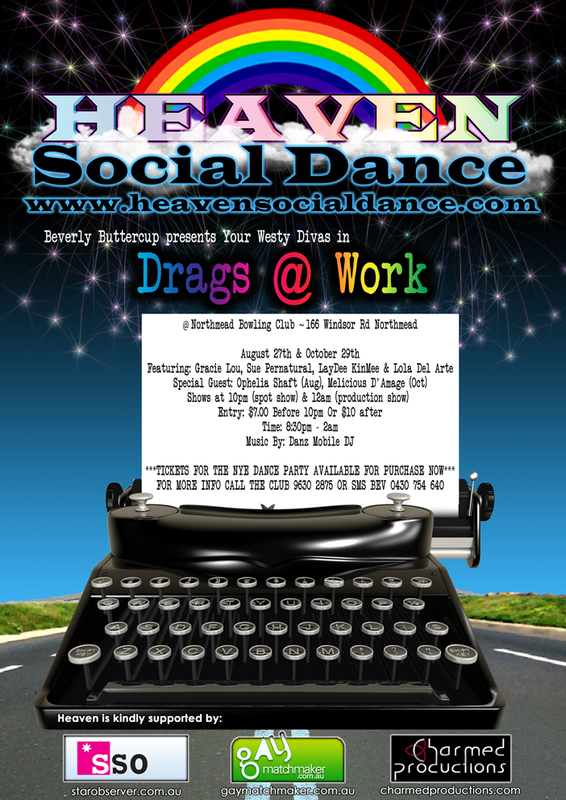 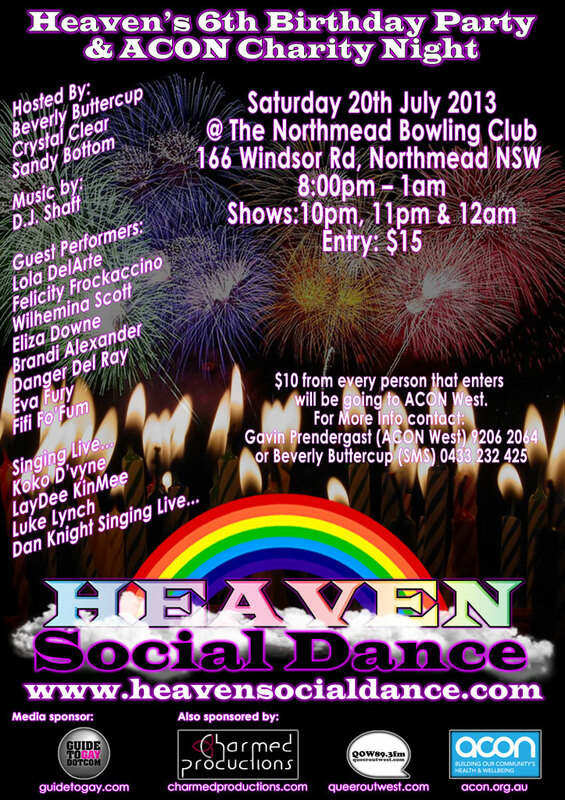 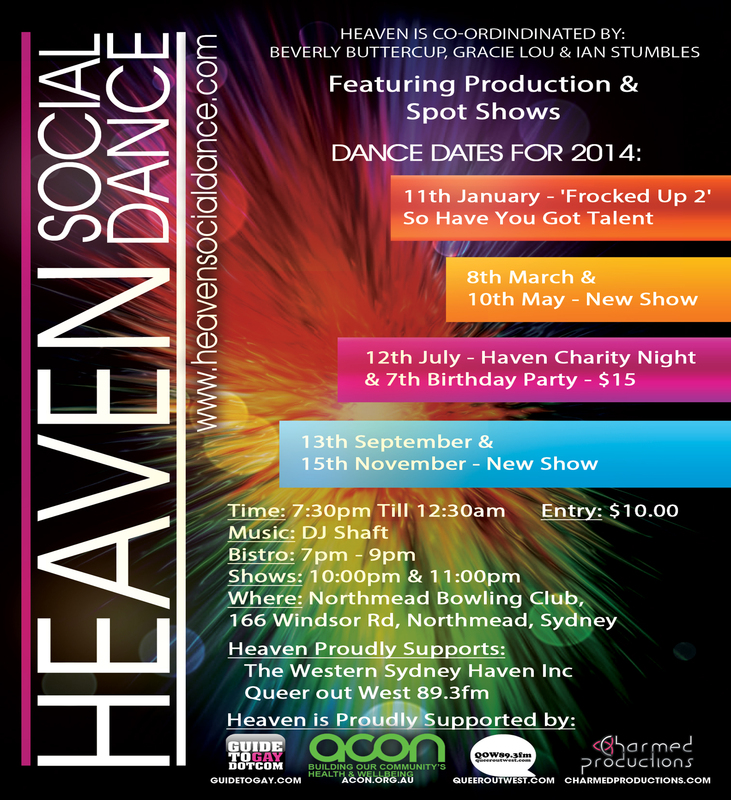 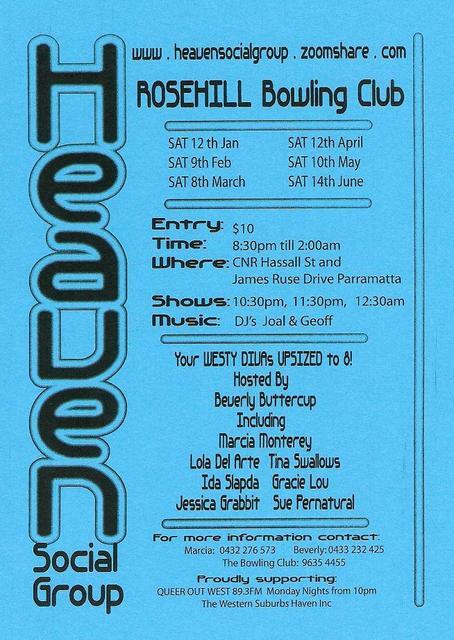 HEAVEN SOCIAL DANCE - POSTER - 2013. 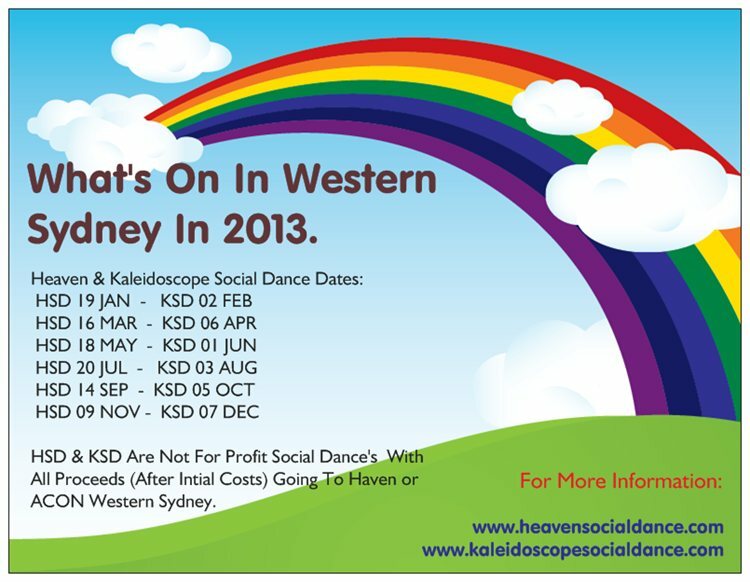 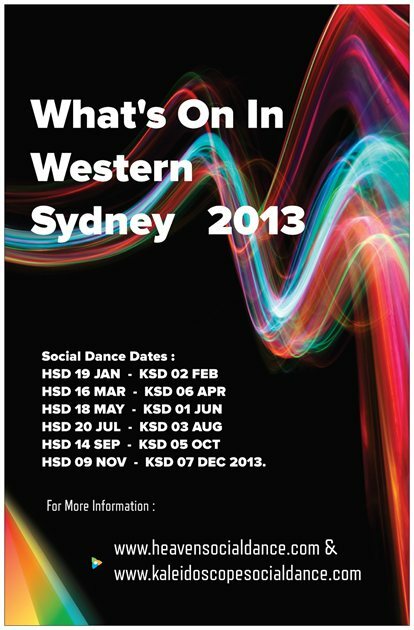 HSD & KSD POSTCARD 2013. 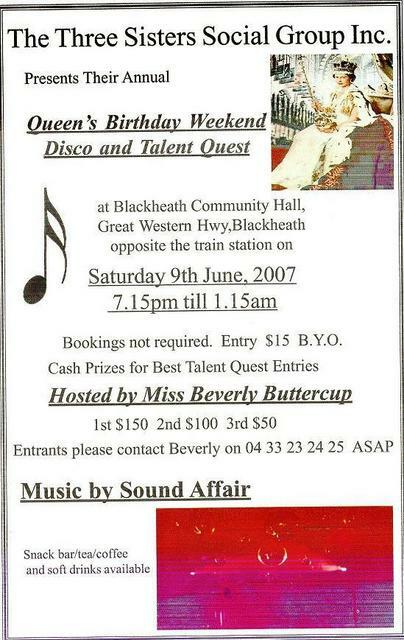 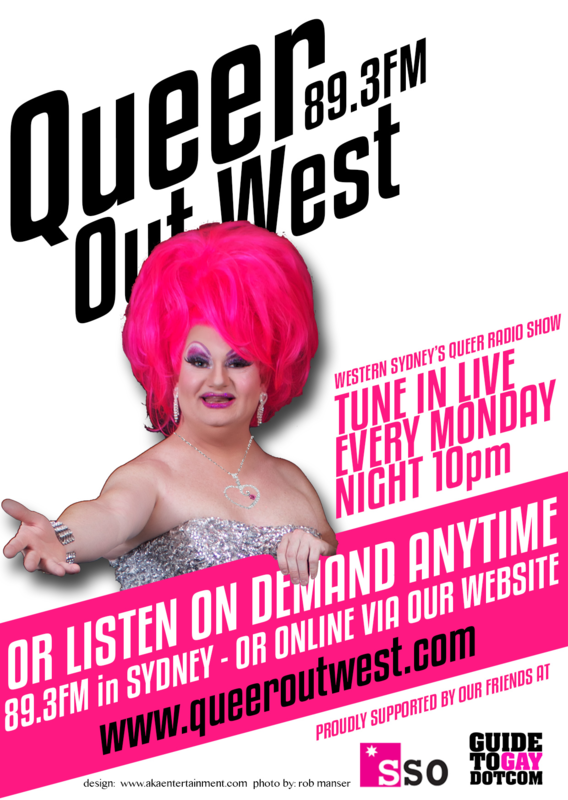 Queen Out West 89.3FM + Beverly Buttercup - BIG1Poster - Aug 2012. 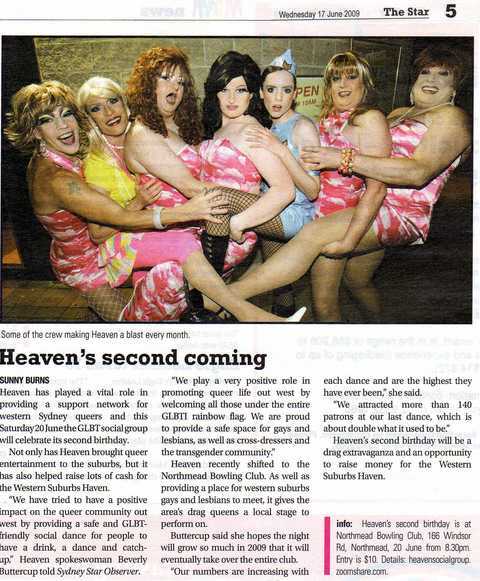 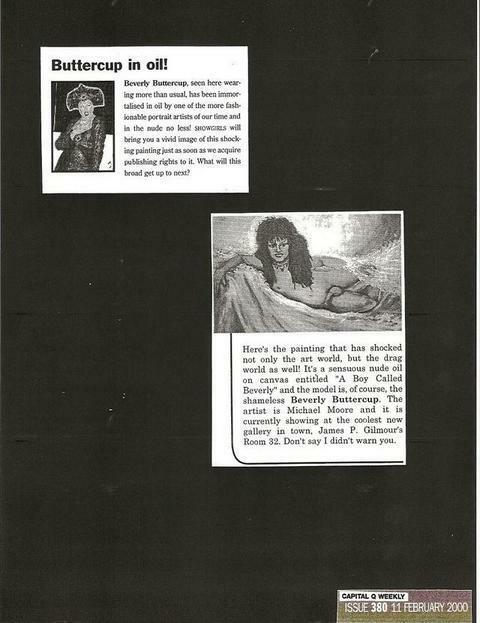 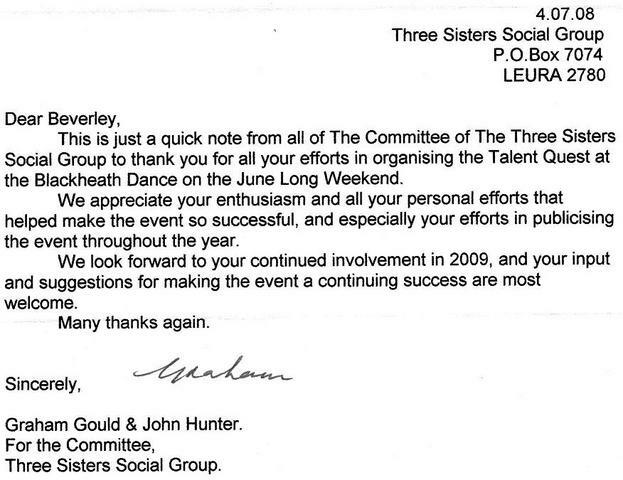 Heaven - Beverly Buttercup - Thank You From Acon 2012. 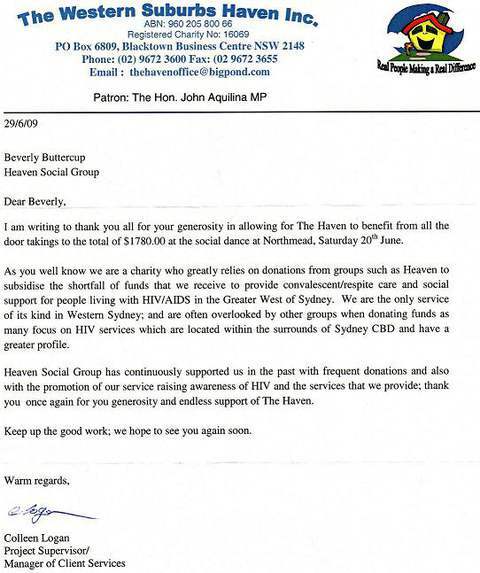 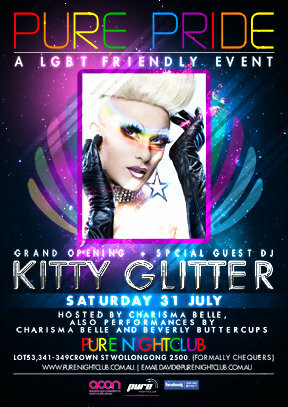 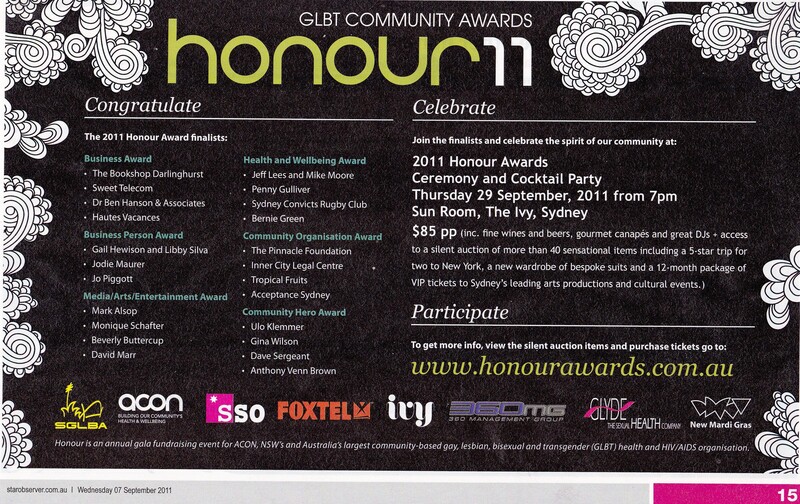 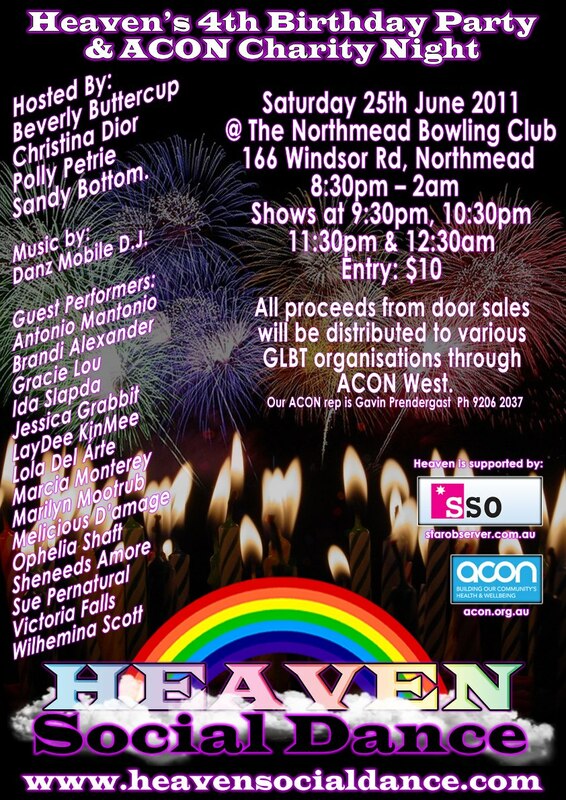 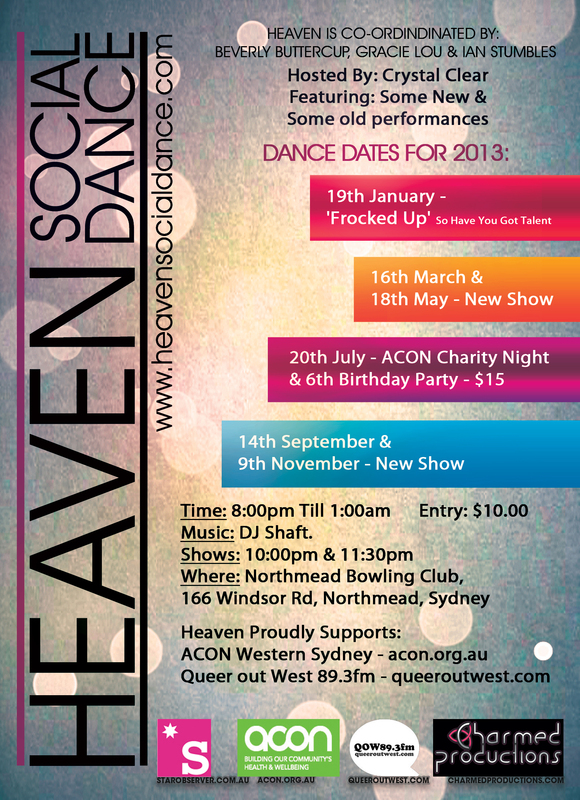 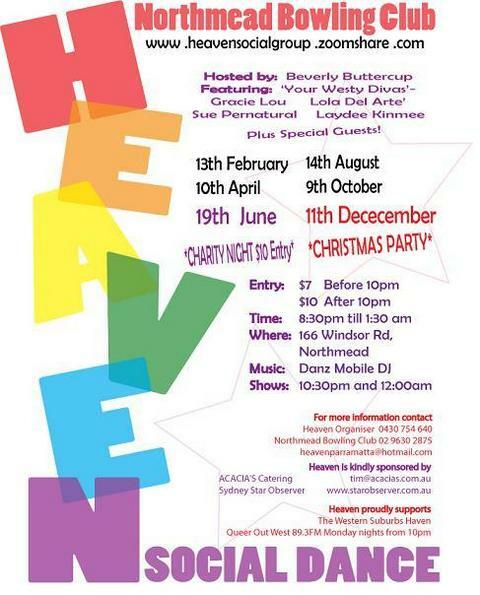 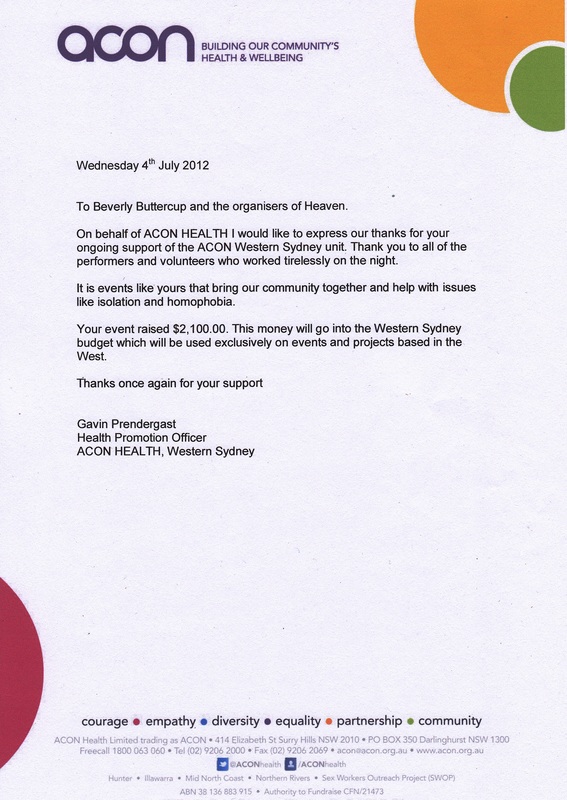 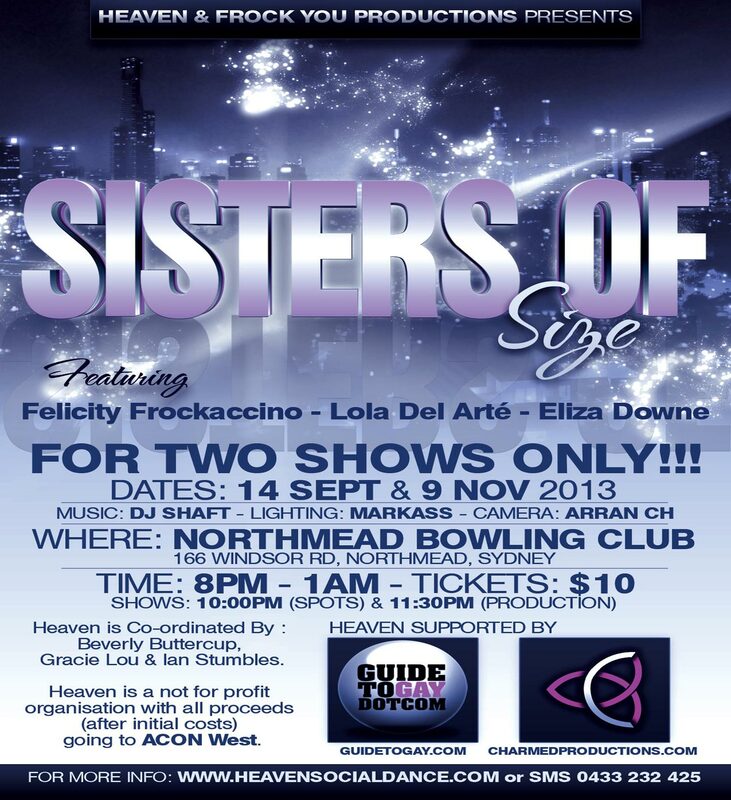 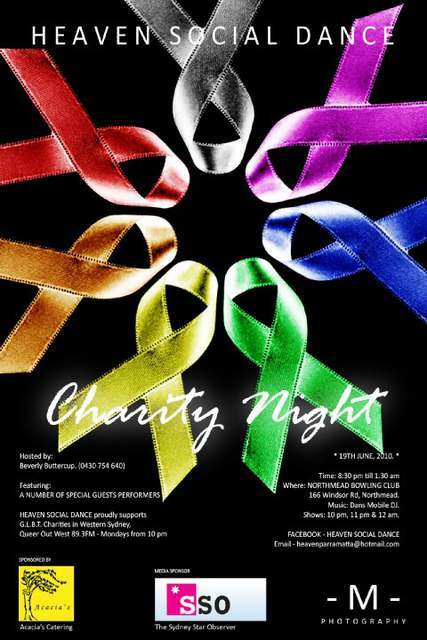 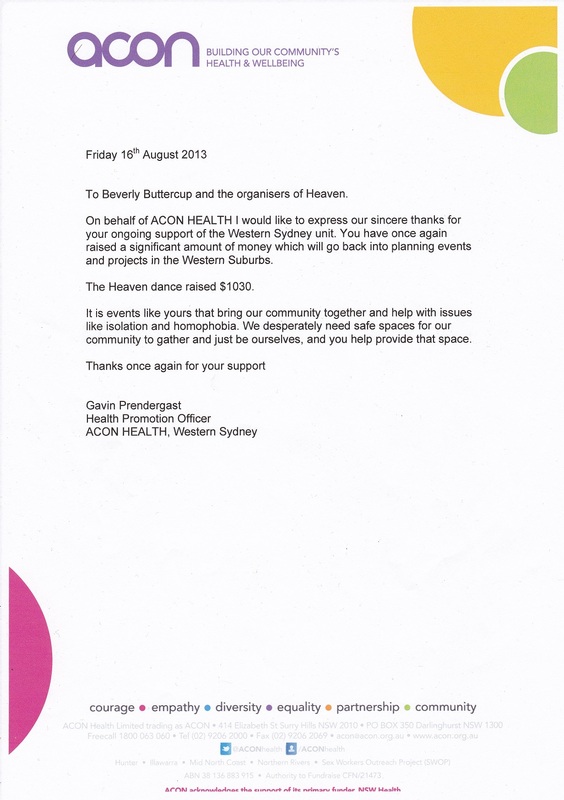 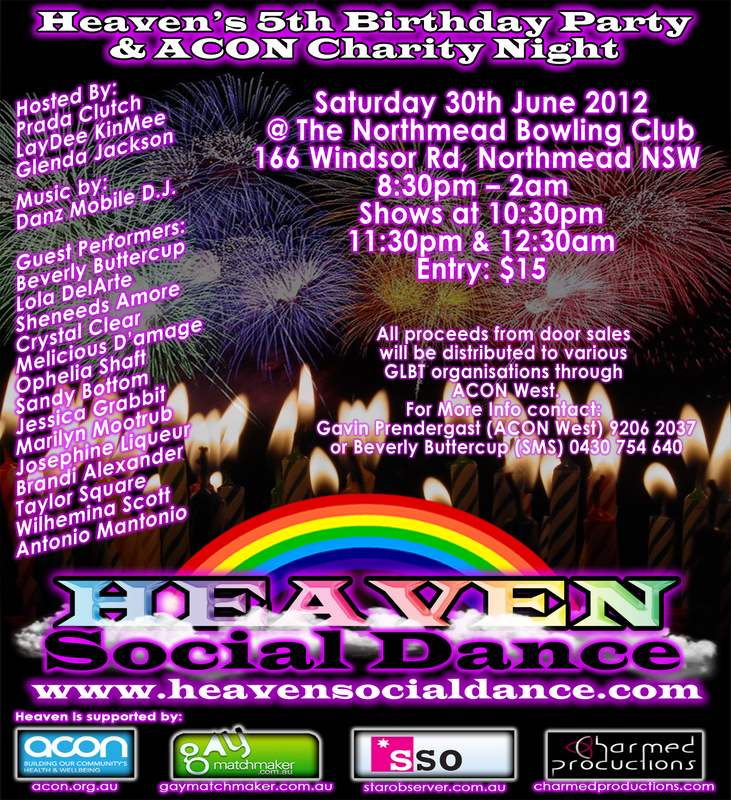 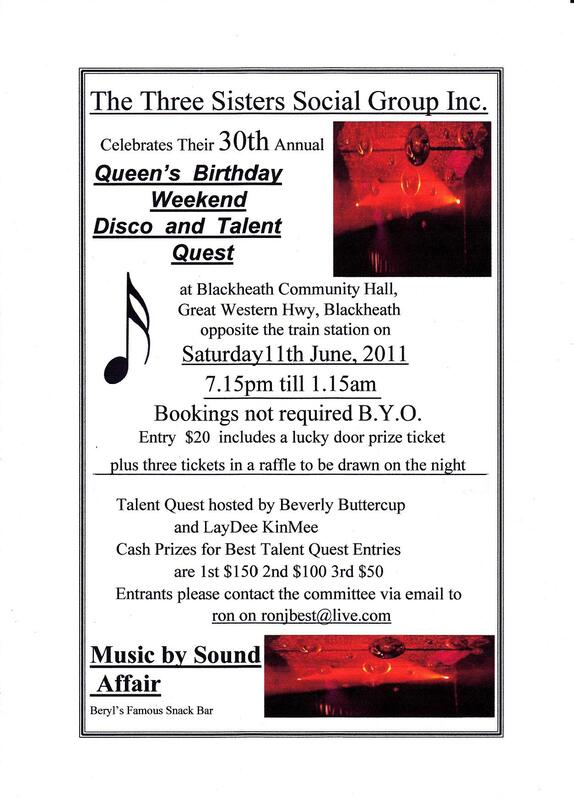 Heaven & Acon Charity Night Poster SSO/ADD 30.06.12. 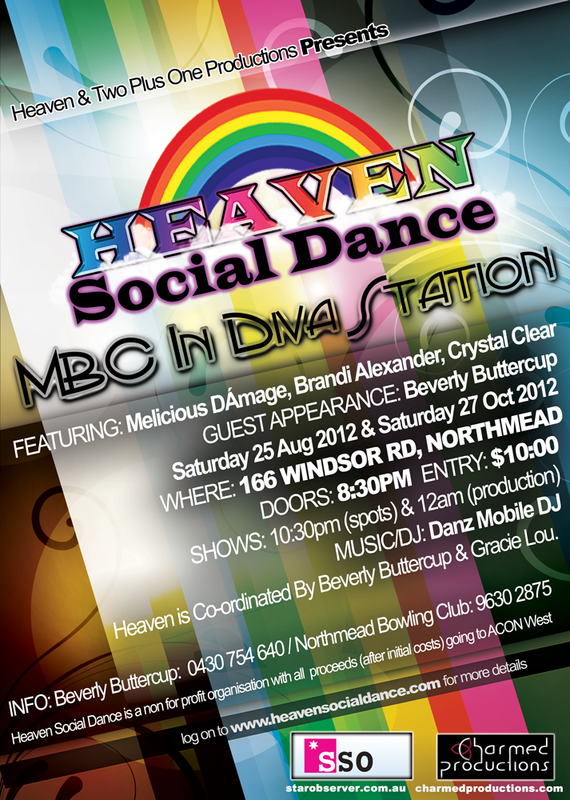 MBC In DIVA STATION 25AUG & 27OCT2012. 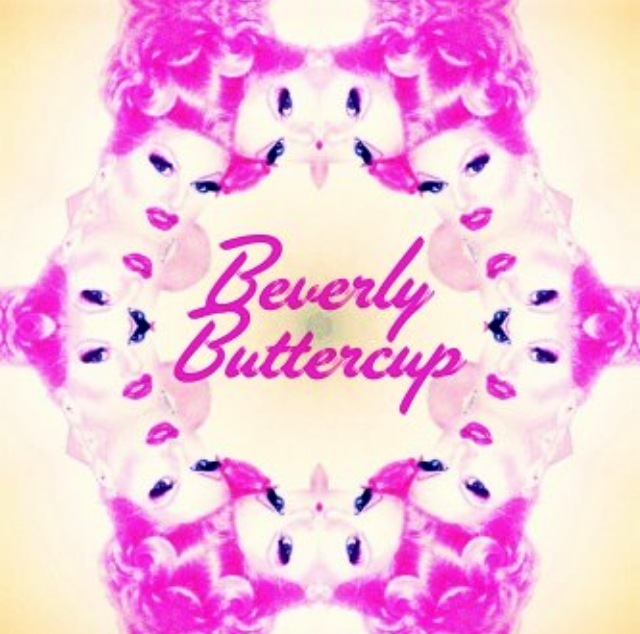 Beverly Buttercup . 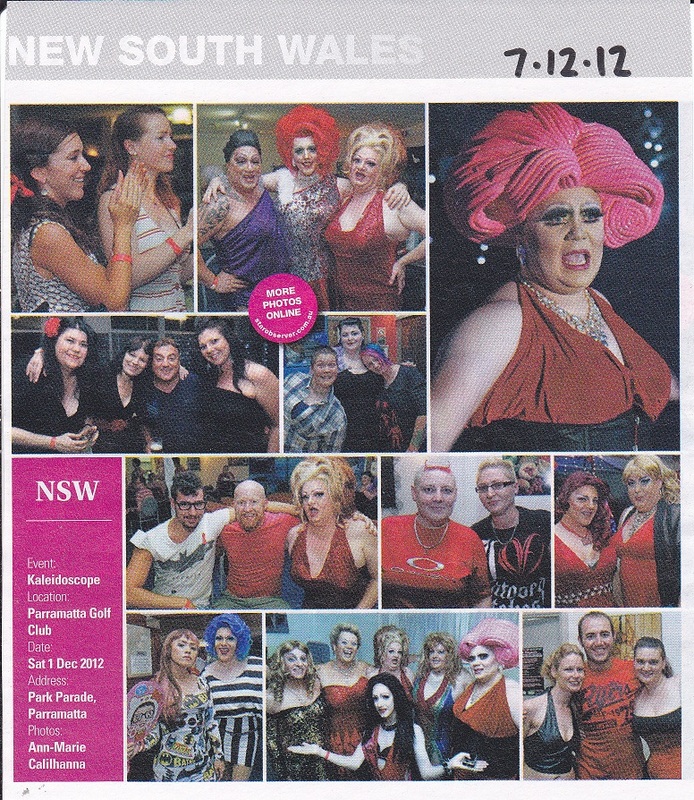 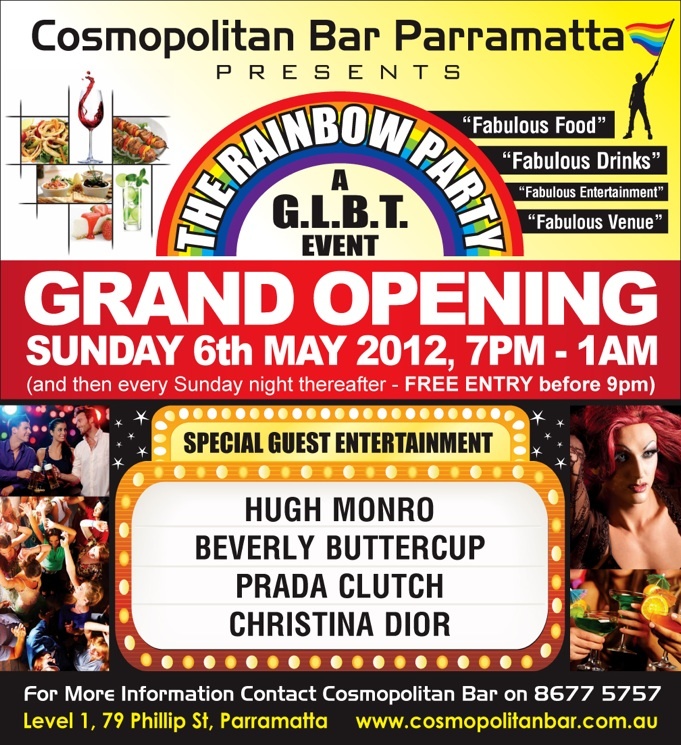 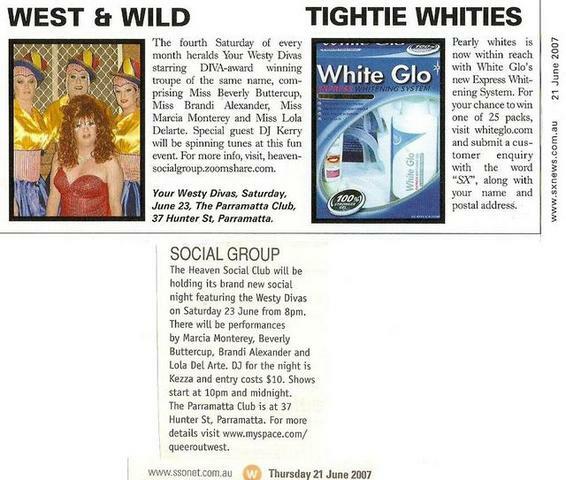 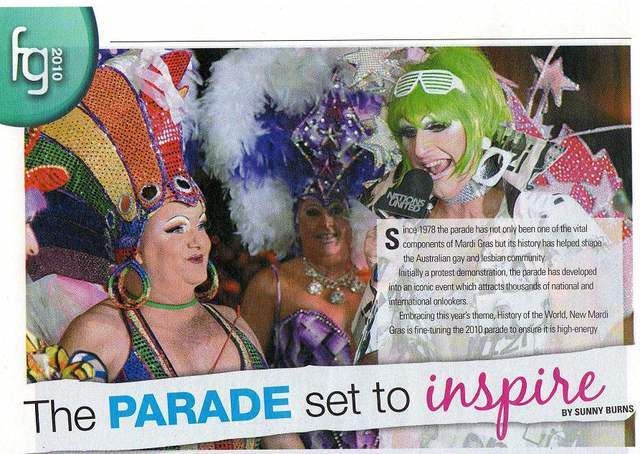 Prada Clutch , Christina Dior , Hugh Monroe @ The Rainbow Party - Parramatta - May 2012. 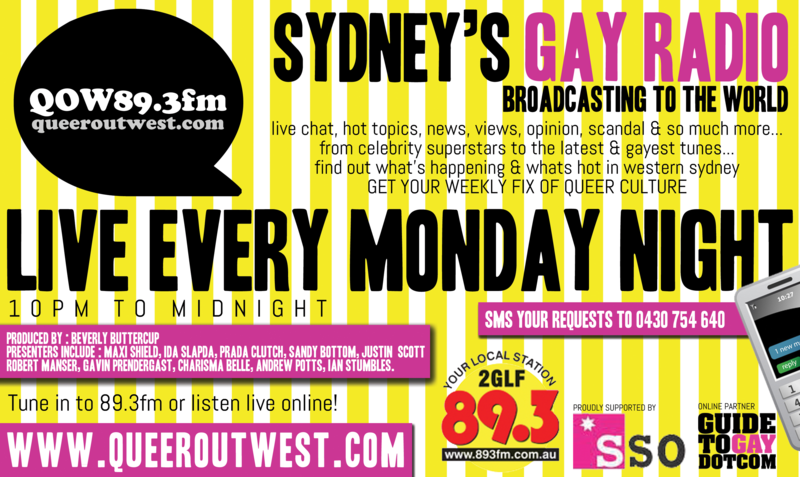 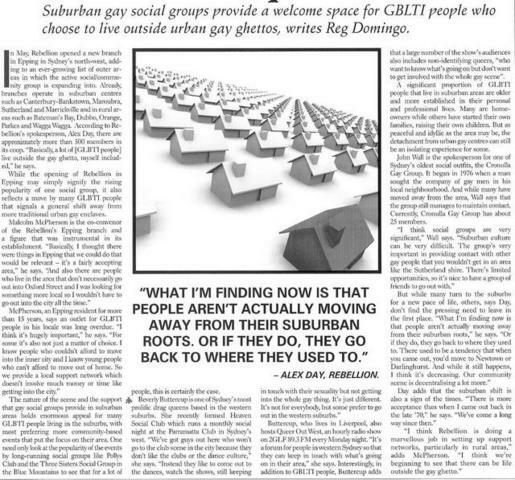 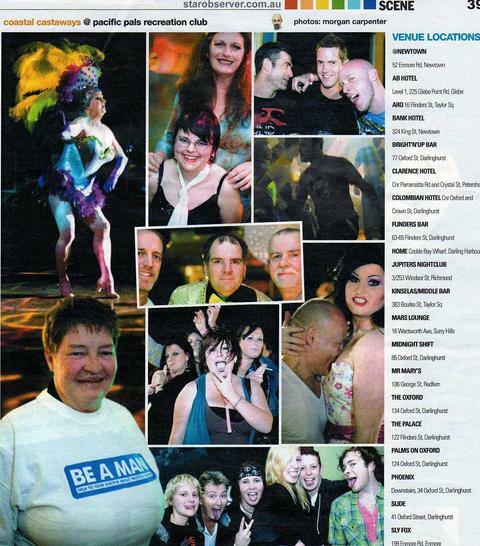 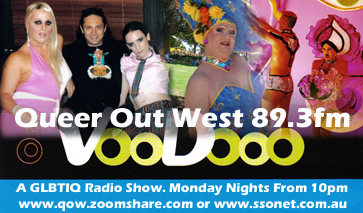 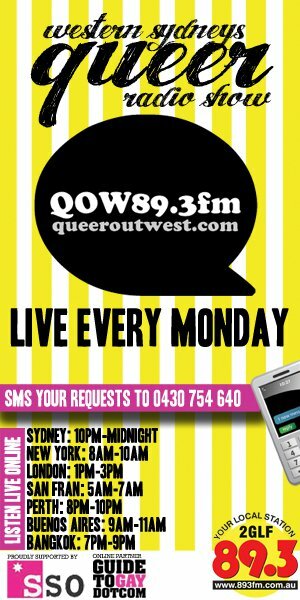 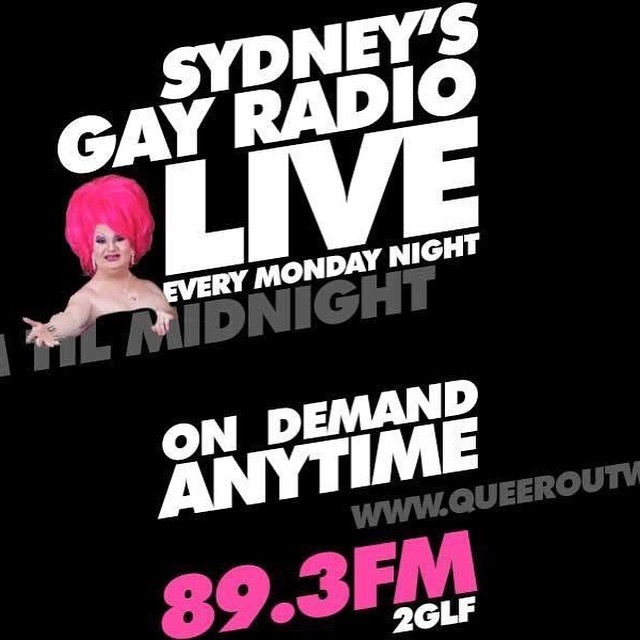 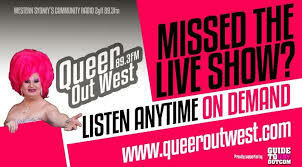 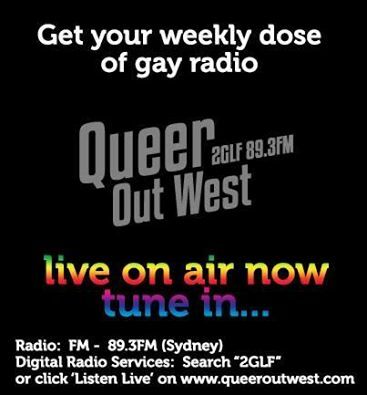 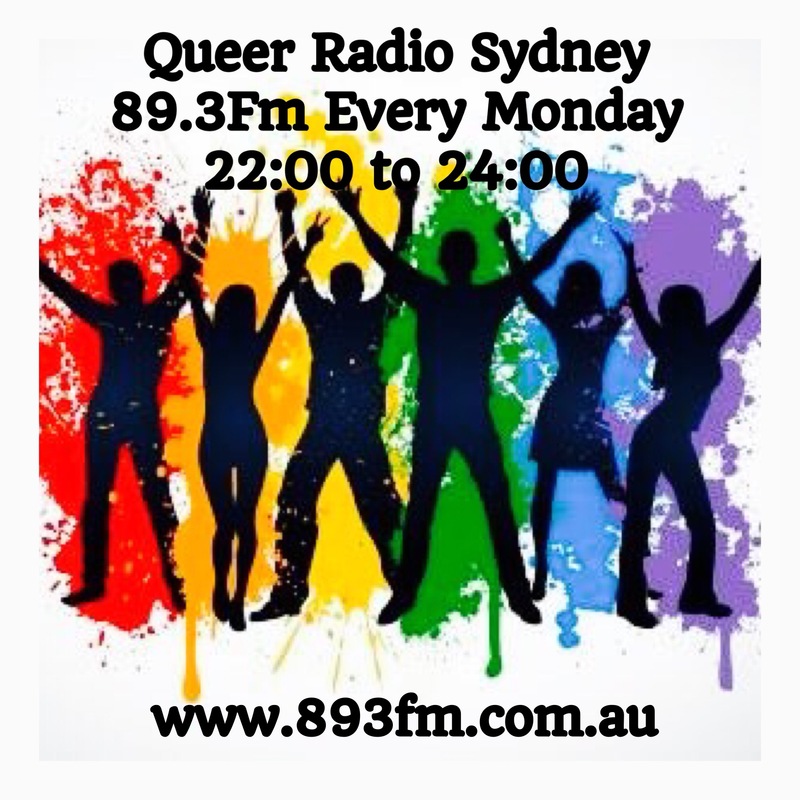 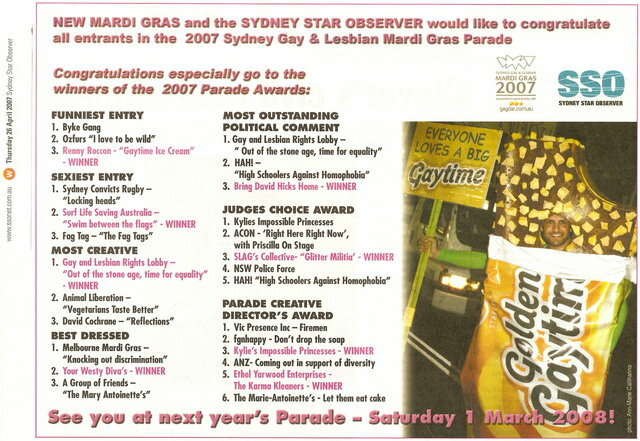 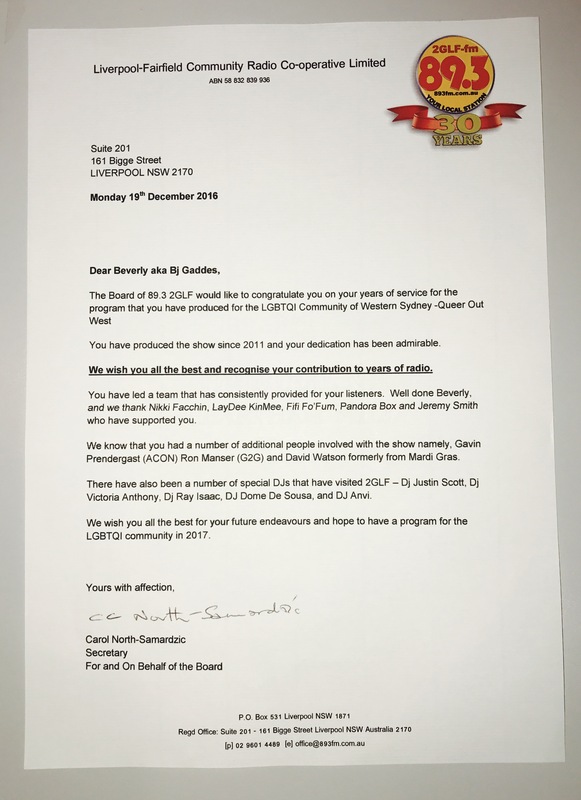 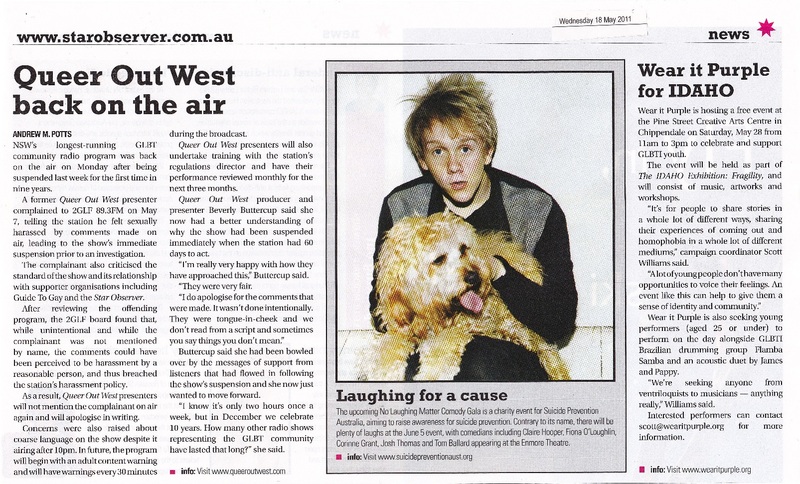 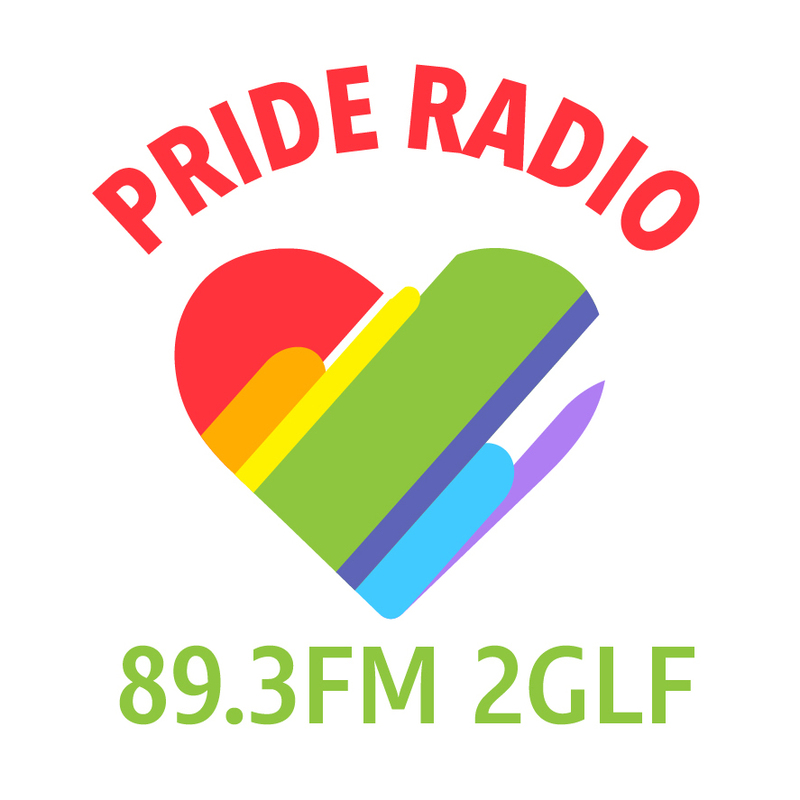 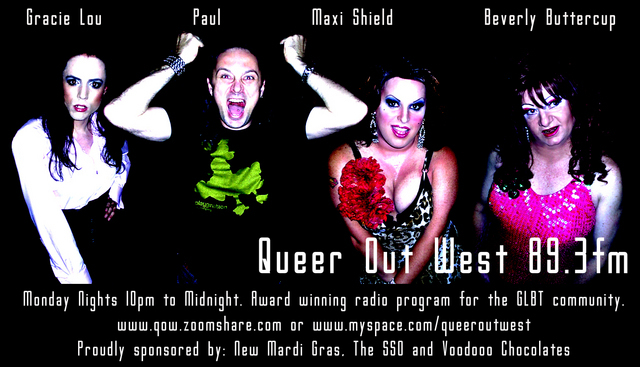 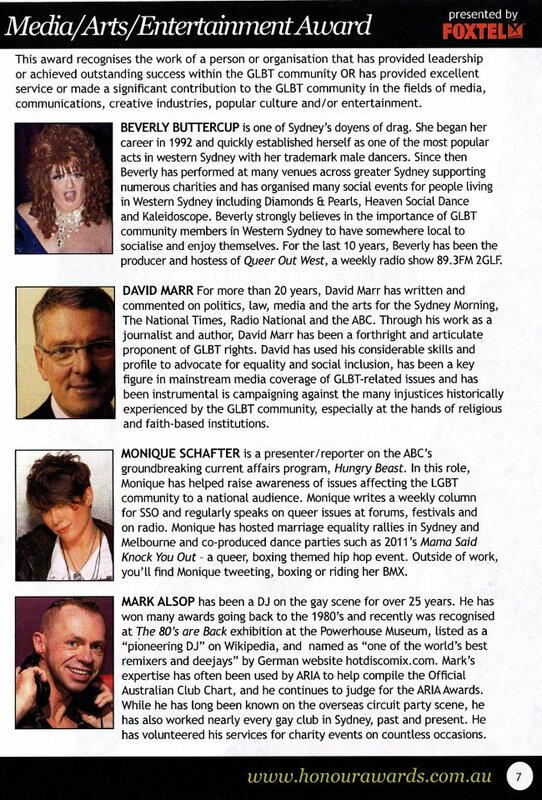 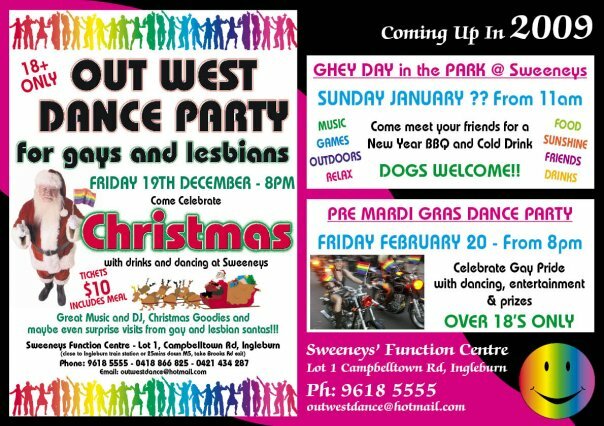 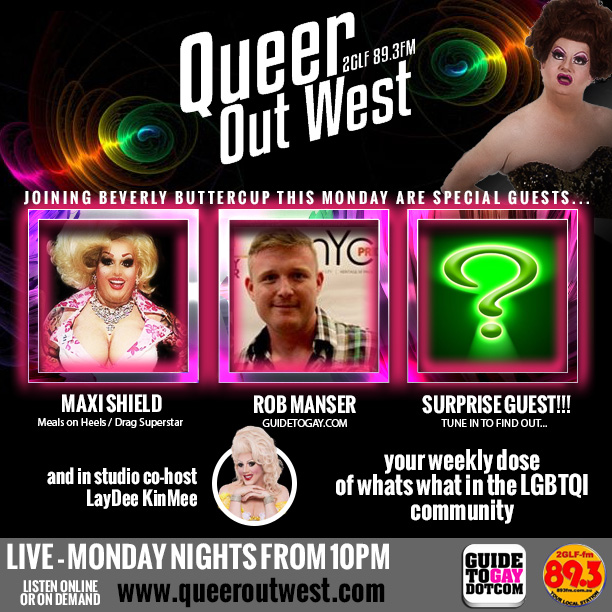 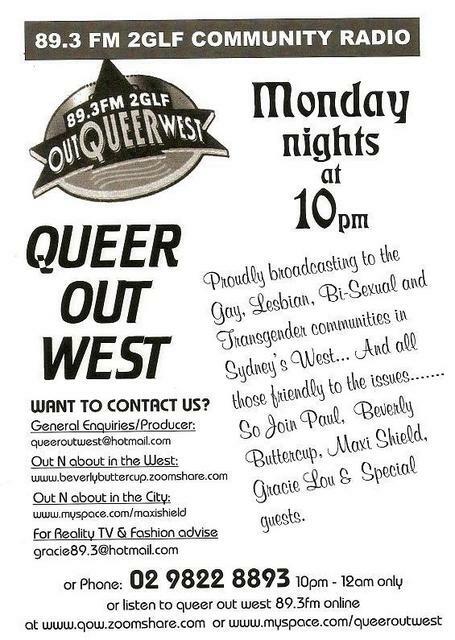 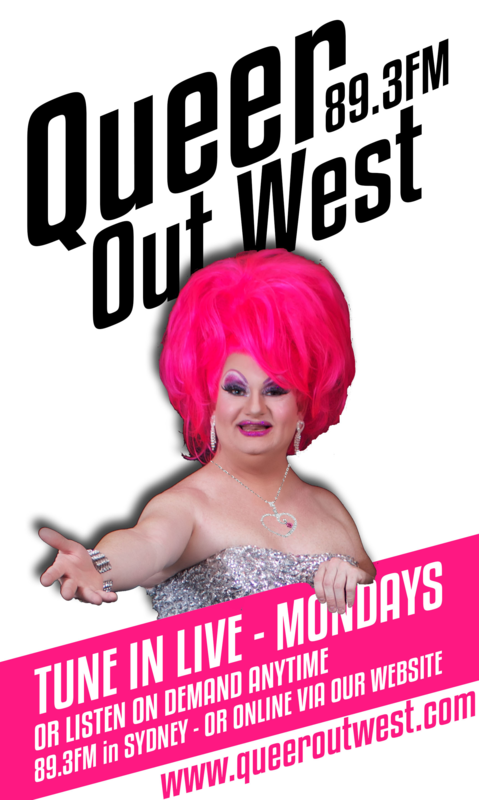 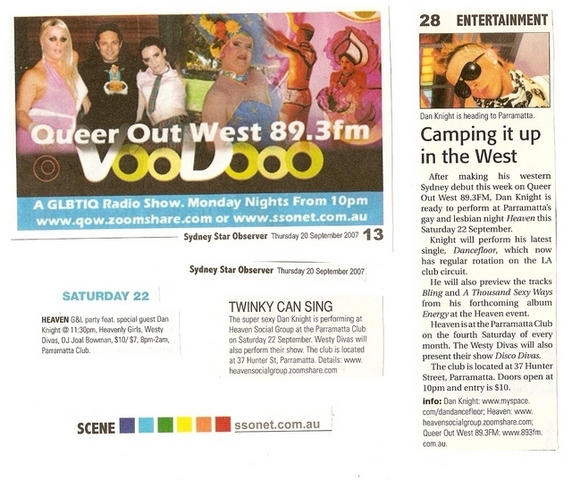 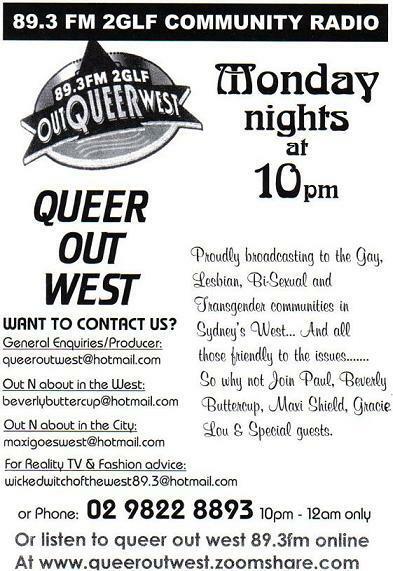 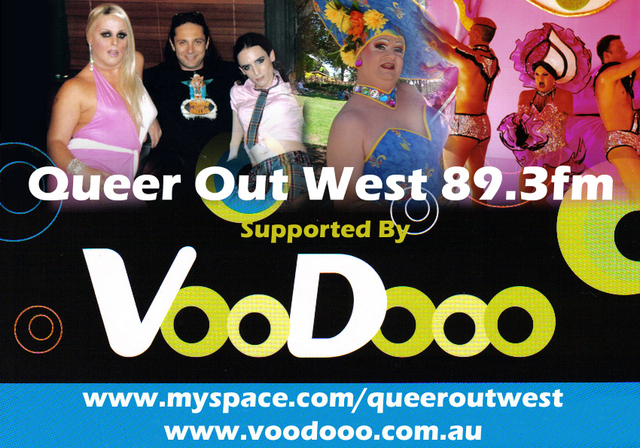 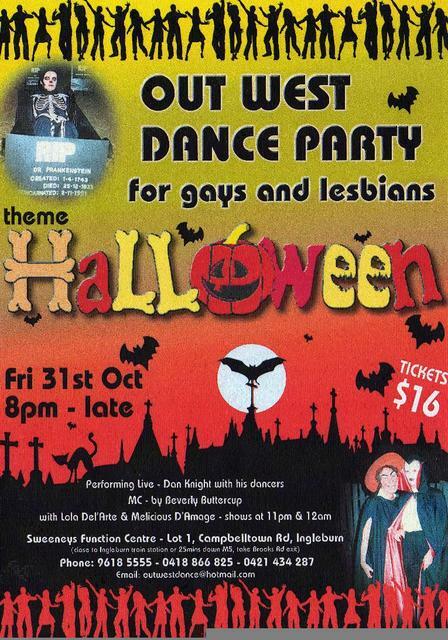 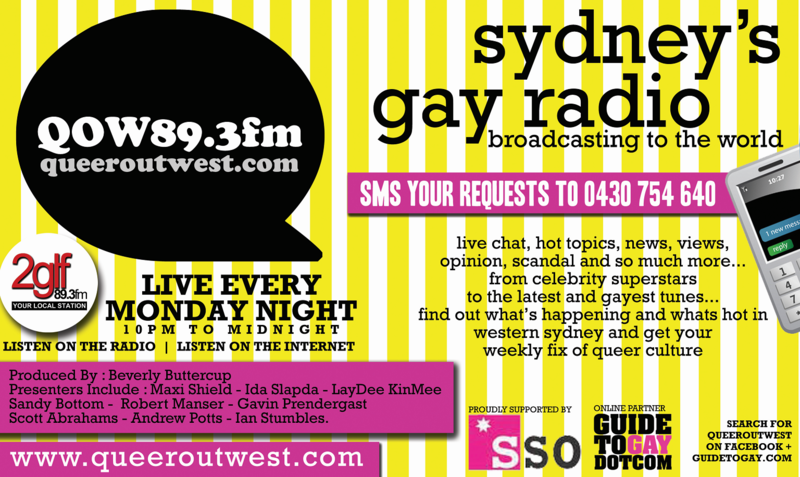 Queer Out West 89.3FM - Ad/Poster - January 2012. 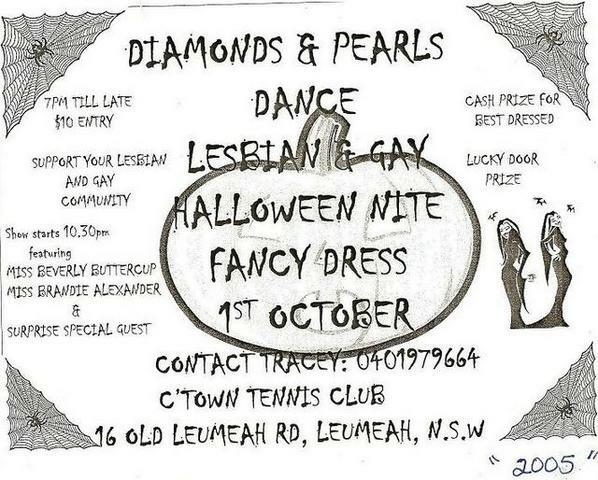 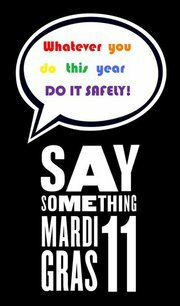 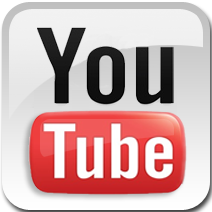 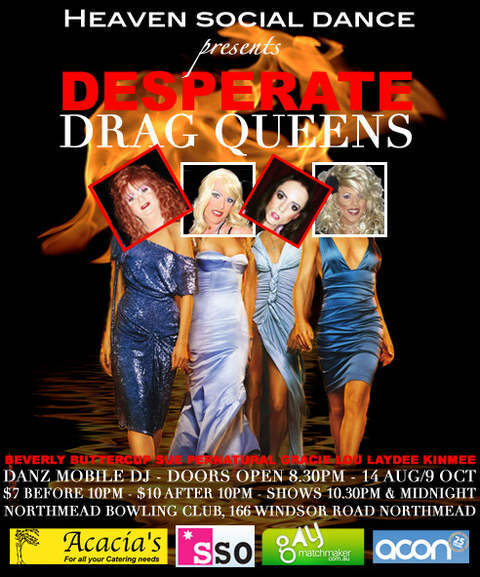 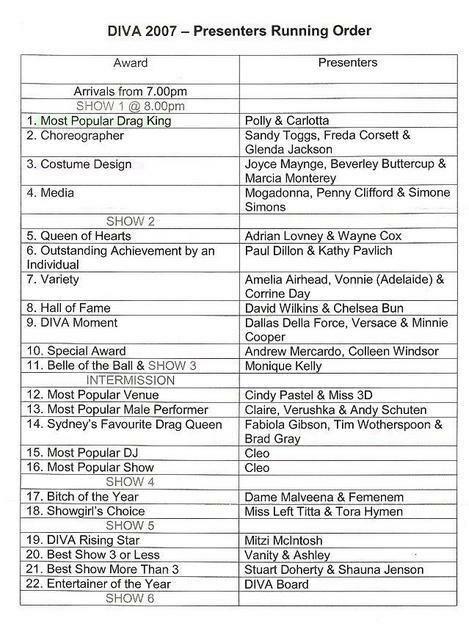 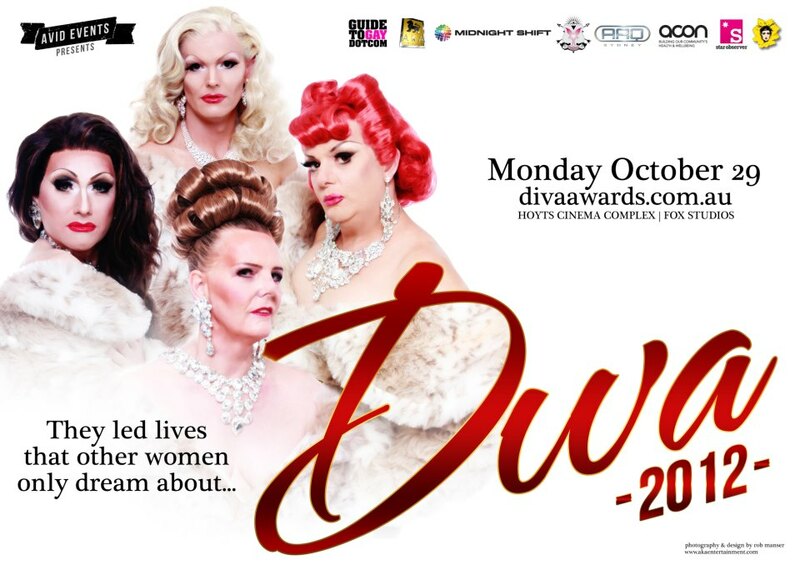 It's Dragtime in 2012. 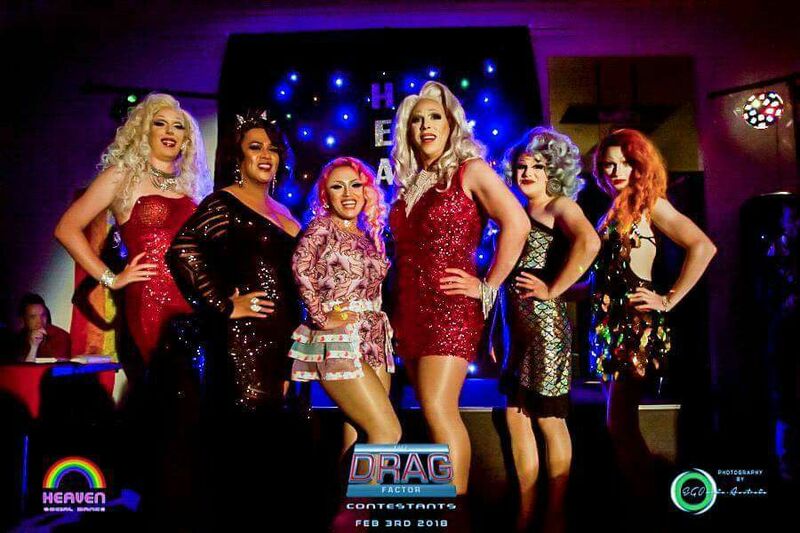 Host By: Prada Clutch & Beverly Buttercup. 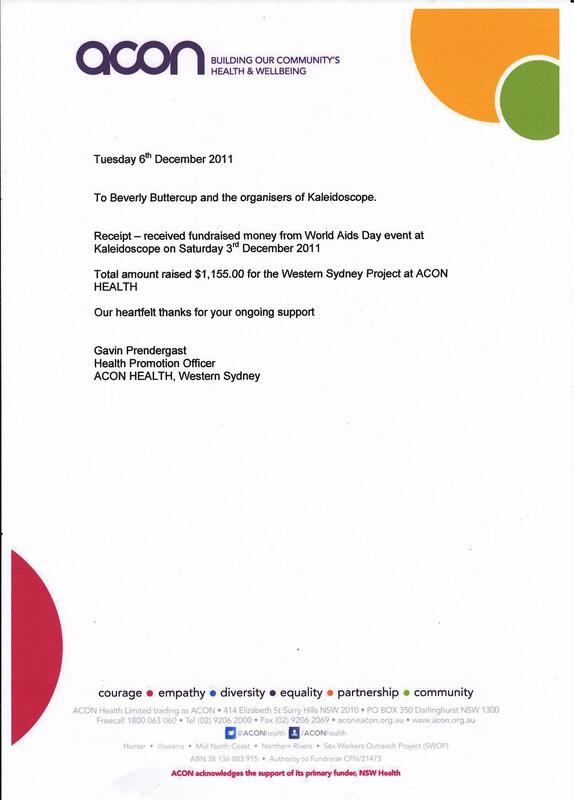 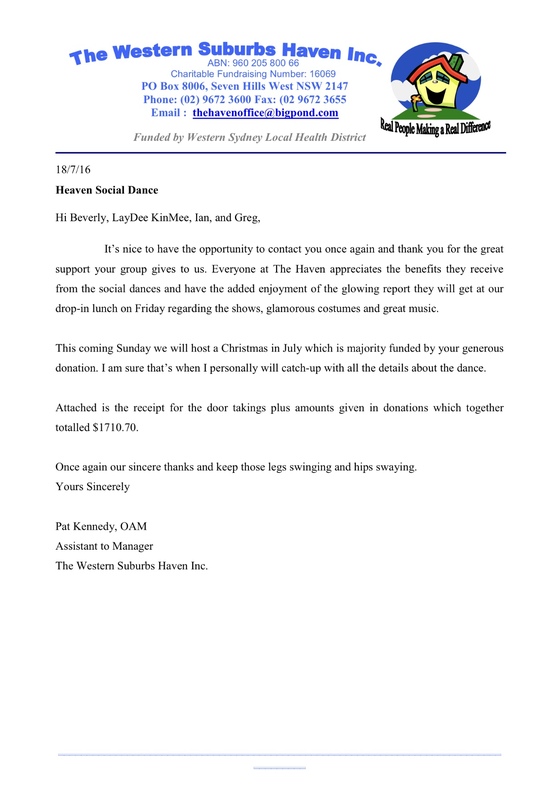 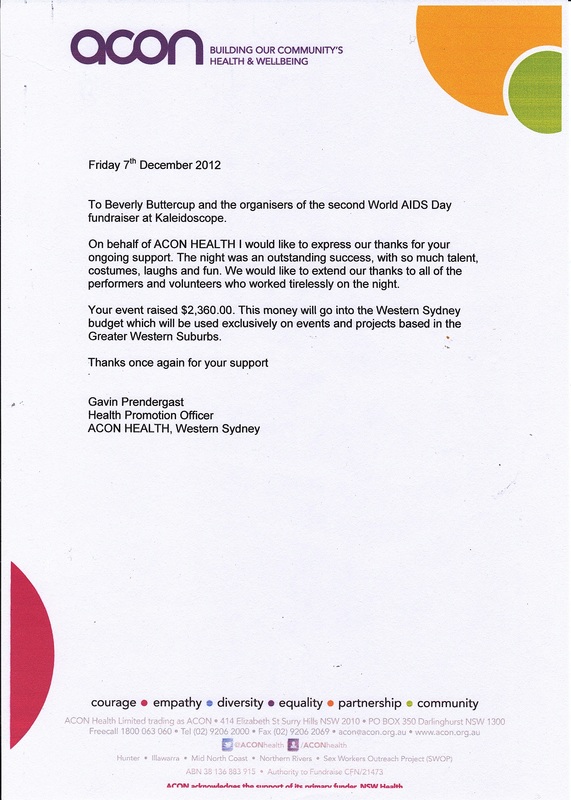 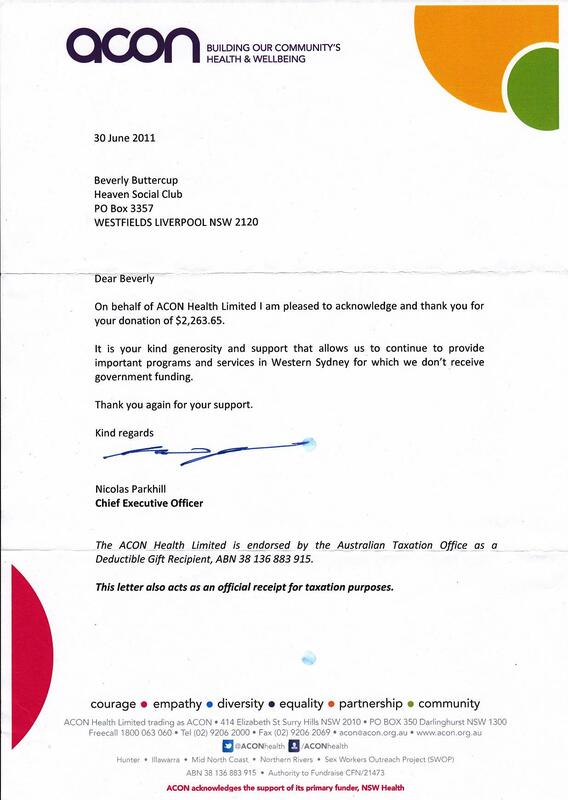 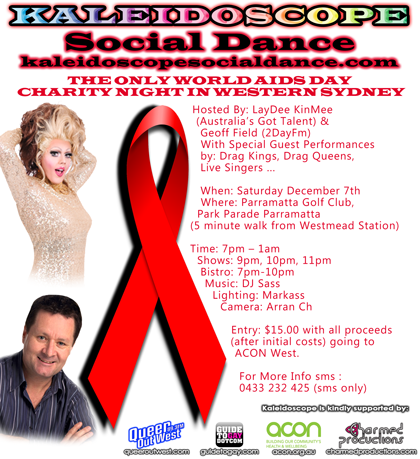 Thank You - World Aids Day at Kaleidoscope 03.12.11. 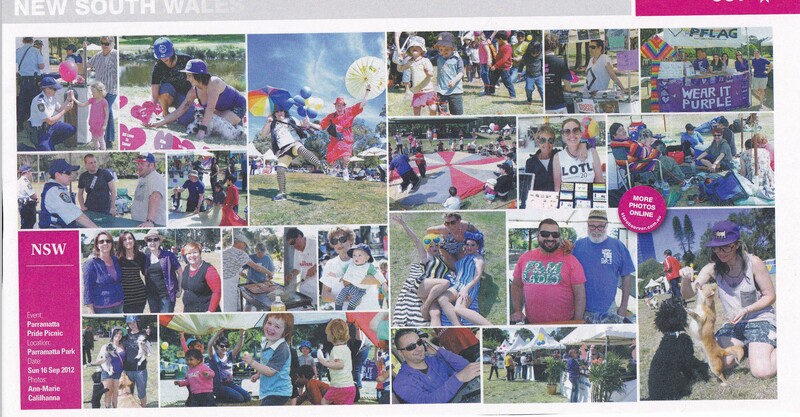 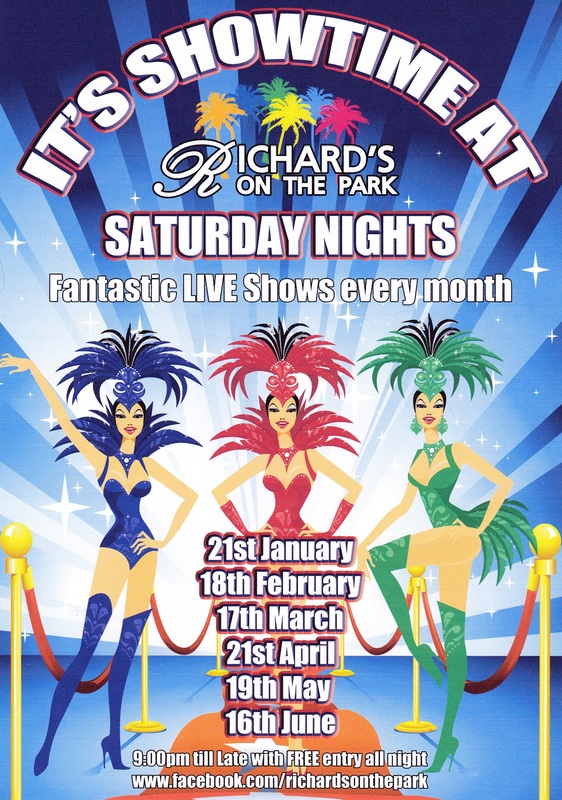 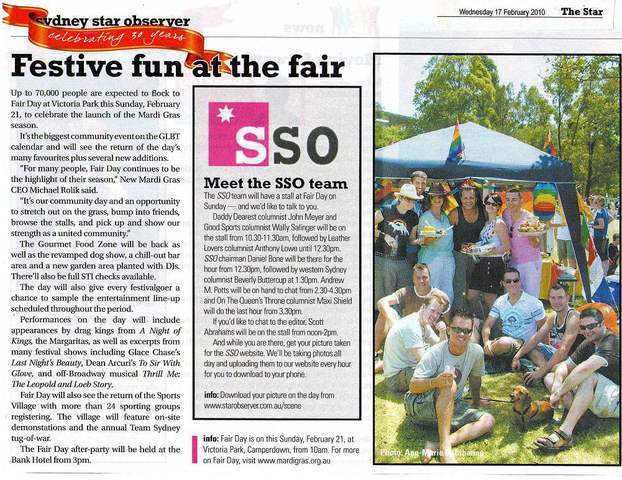 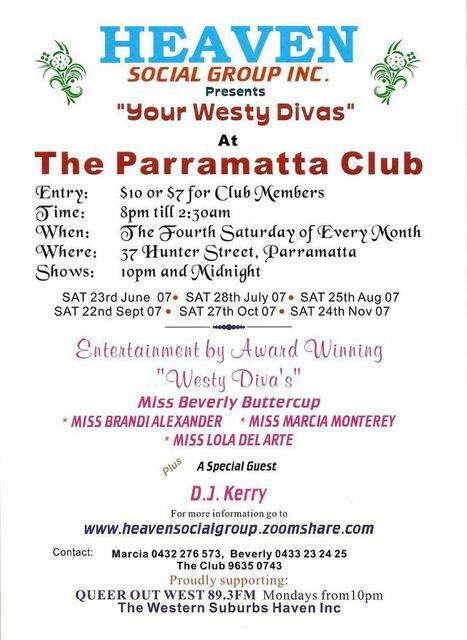 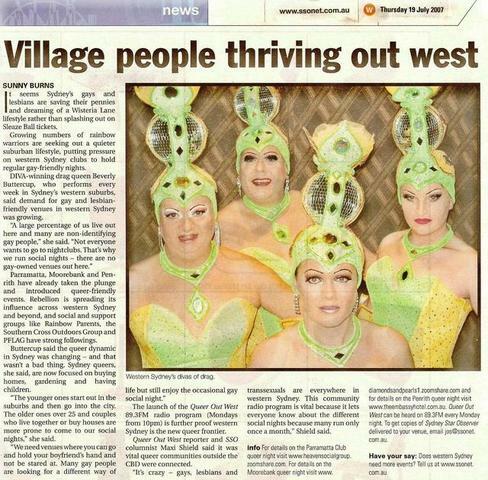 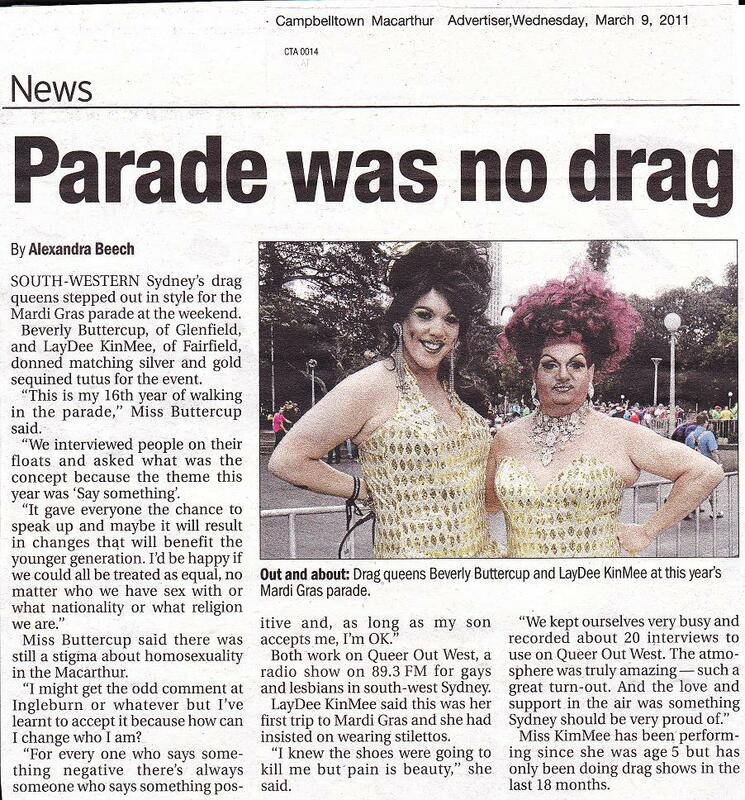 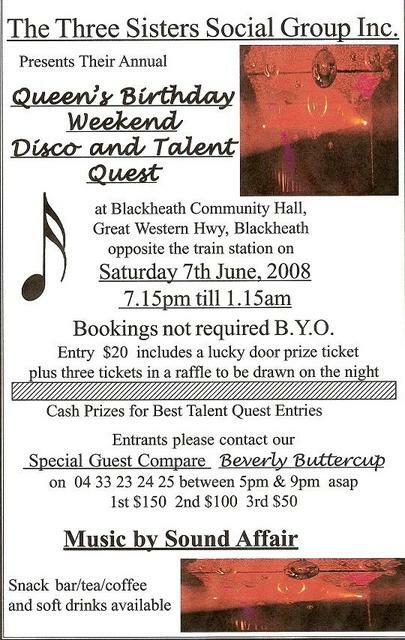 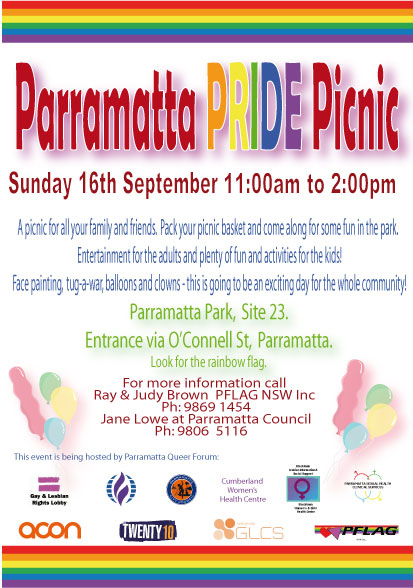 Showtime At Richard On The Park - Canley Vale 2010.
'' 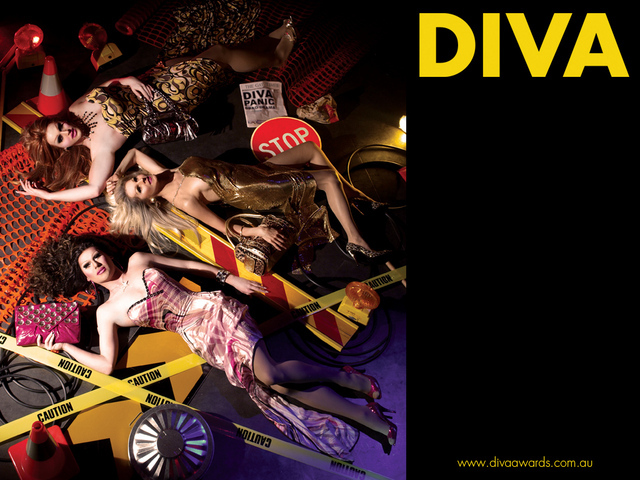 COVERGIRLS '' - DIVA AWARDS 2011. 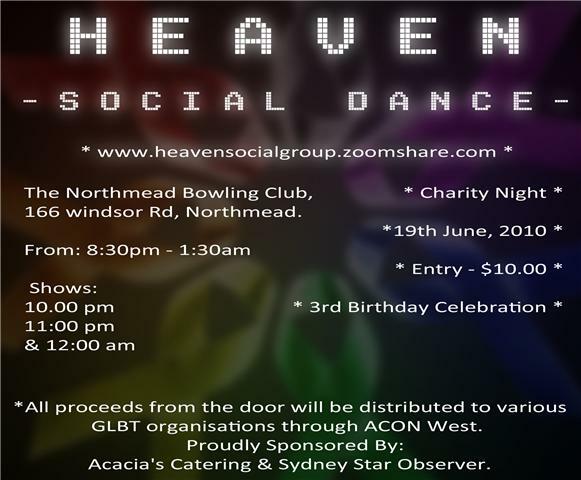 Heaven ACON Charity Night 25th June 2011. 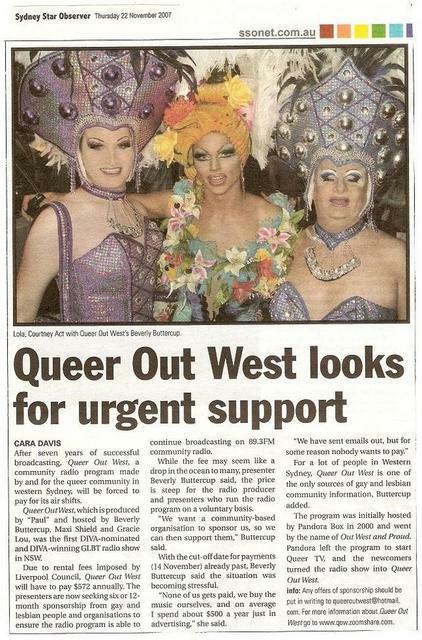 Cross Dressed In The west. 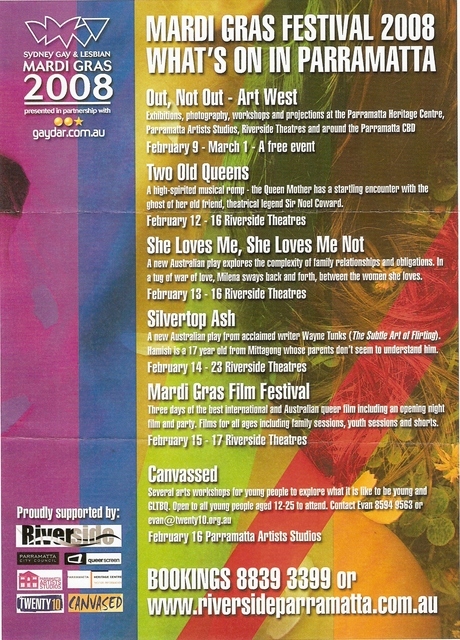 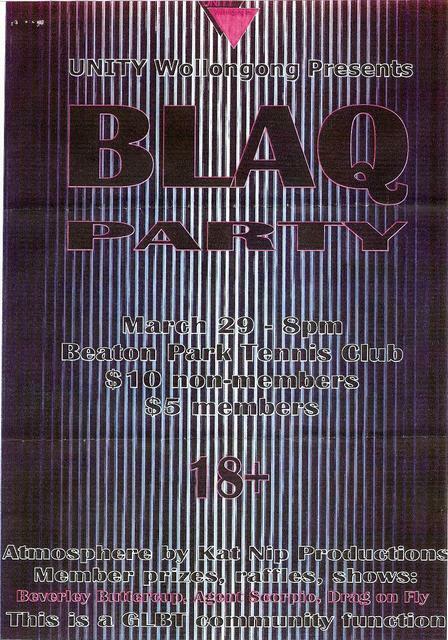 17 April 1998 Capital Q weekly. 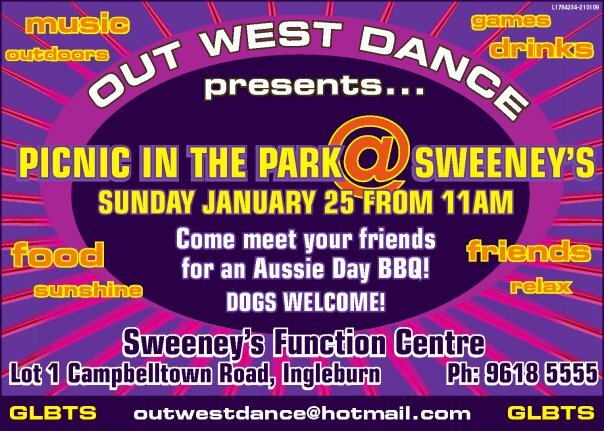 Out West Dance Party in 19-12-08 & 20-02-09 . 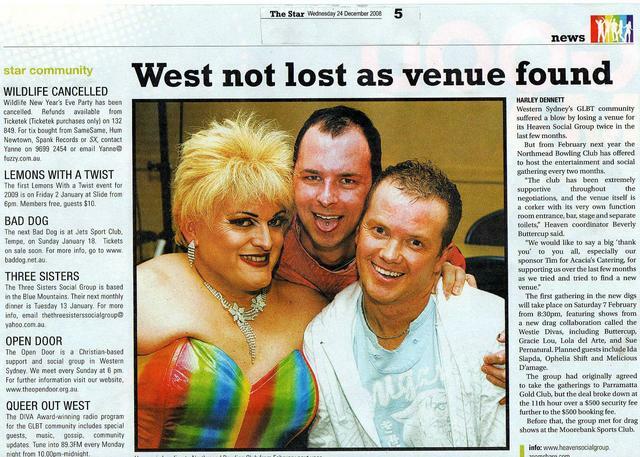 A beautiful picture. 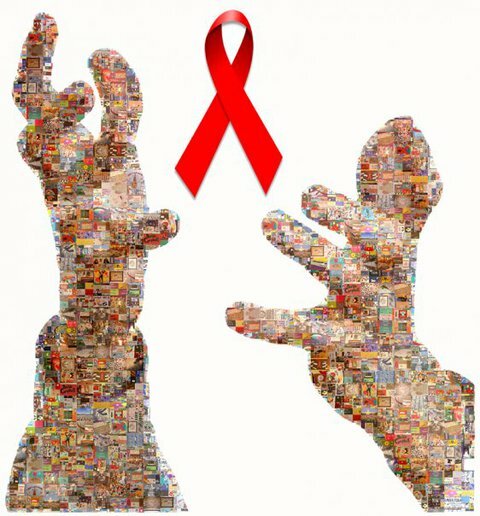 The hands are made up of quilts from the Quilt Project.